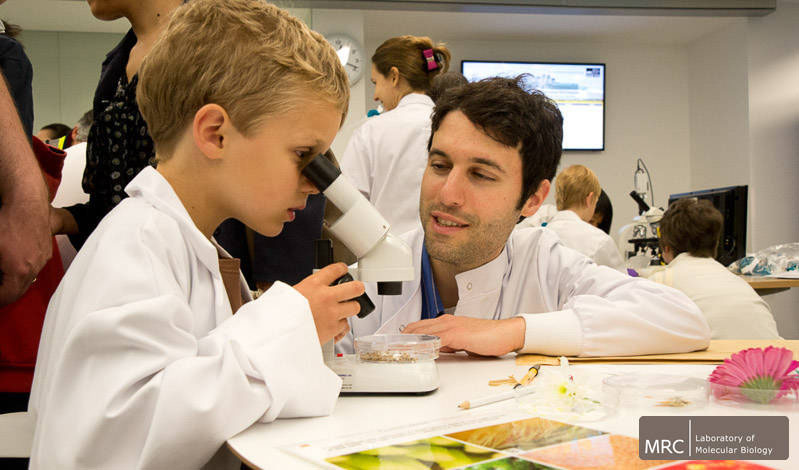 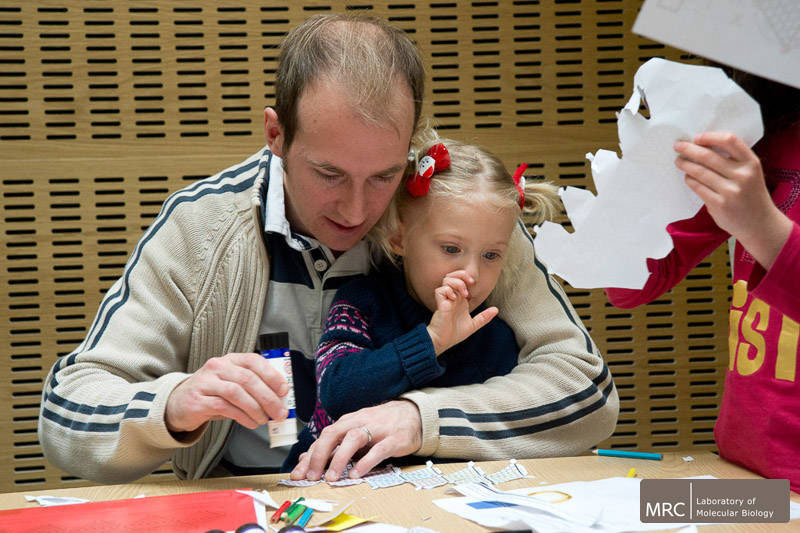 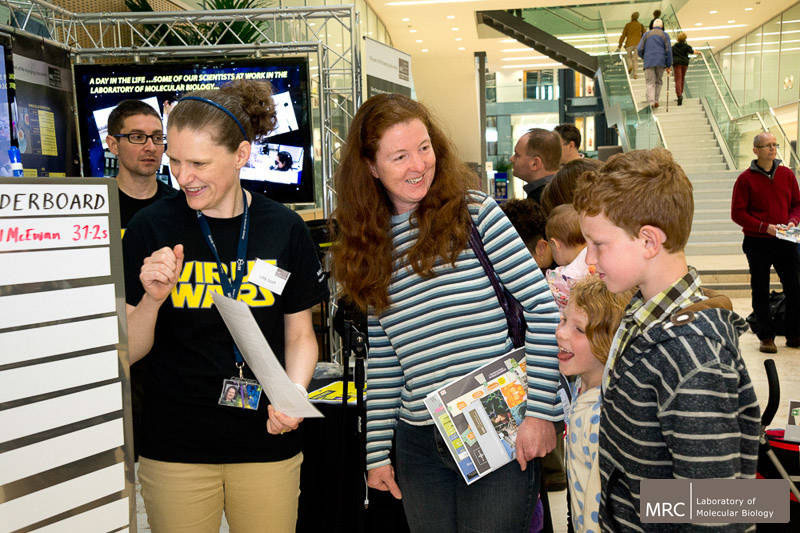 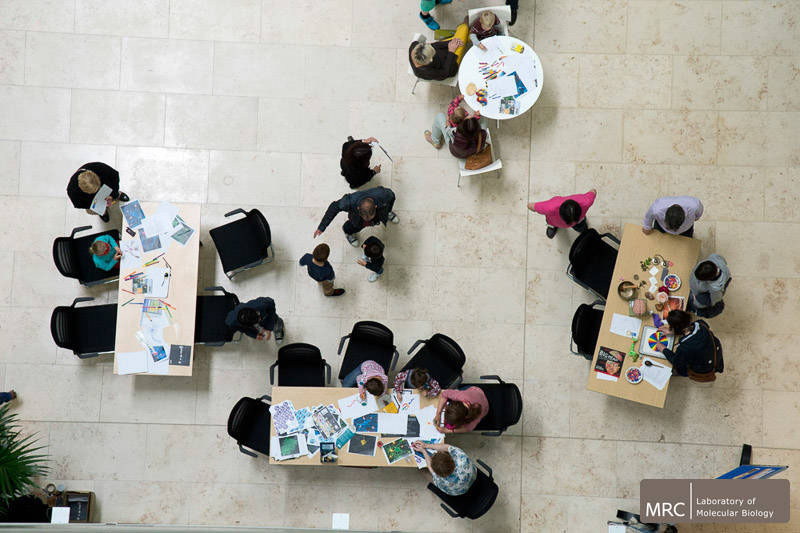 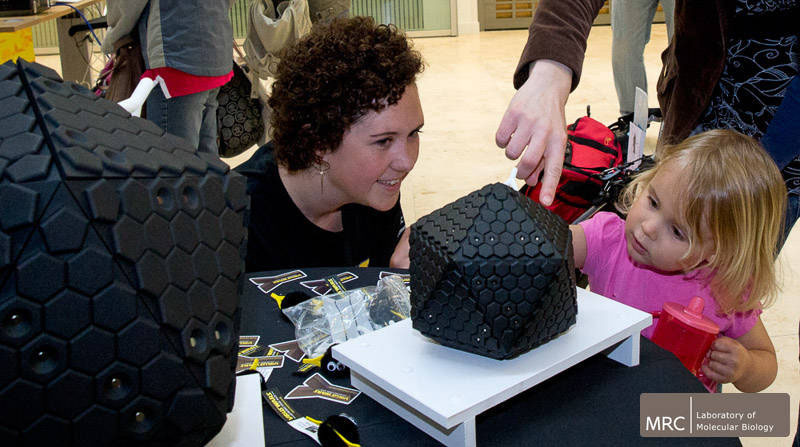 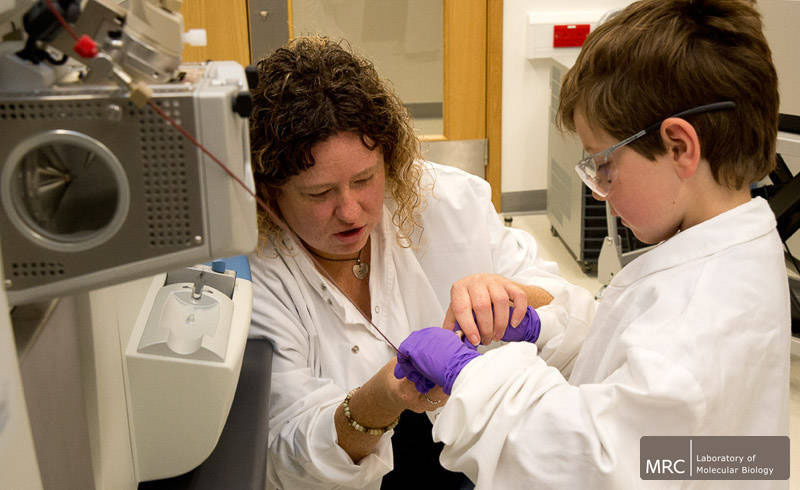 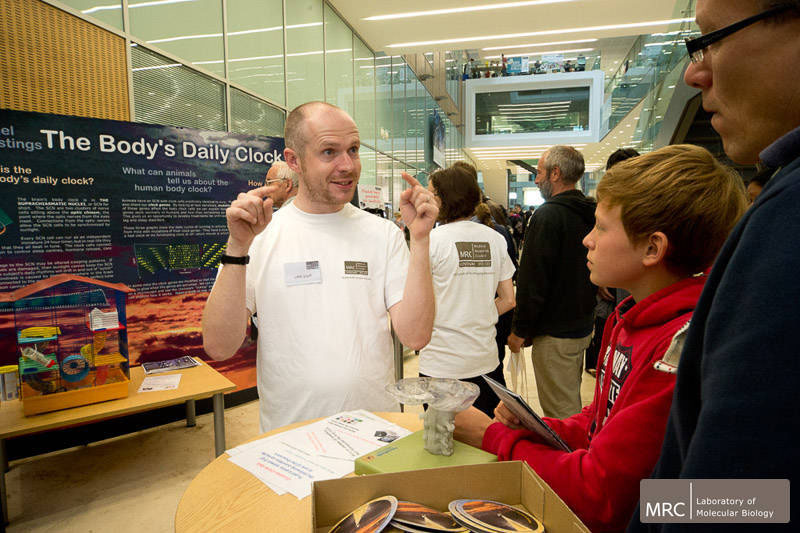 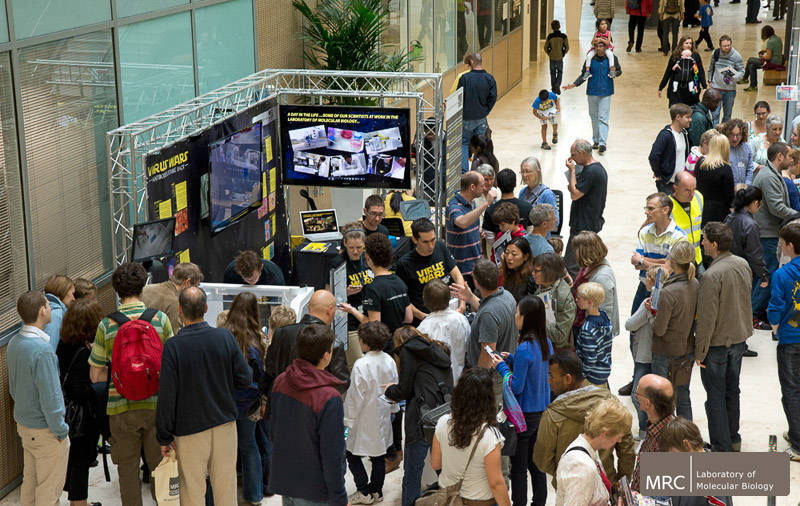 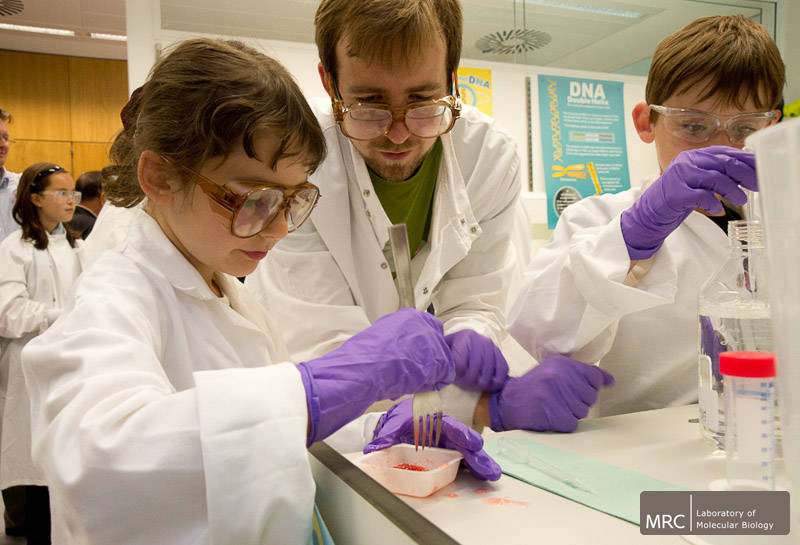 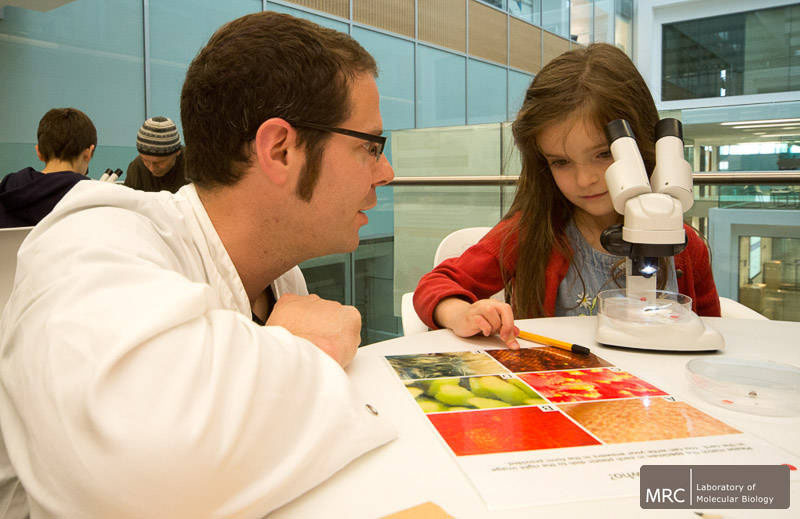 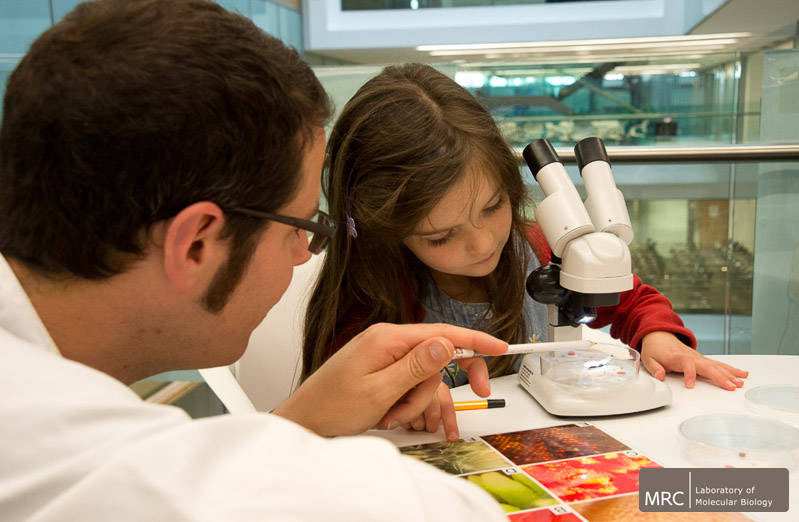 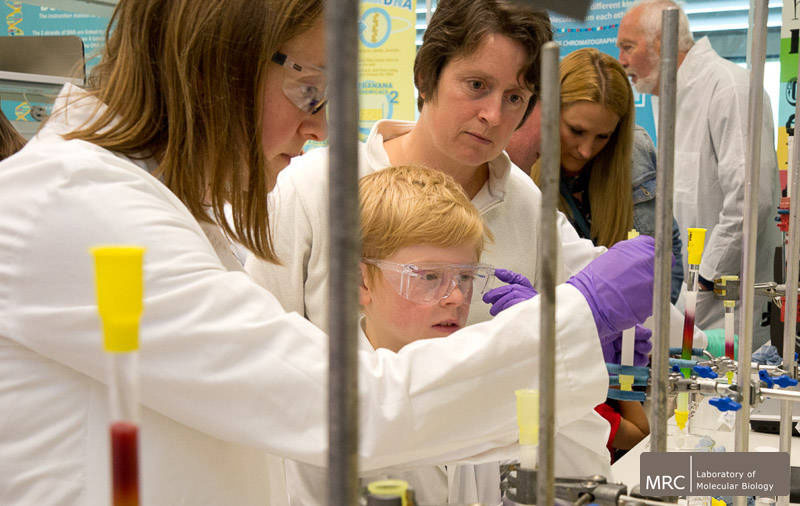 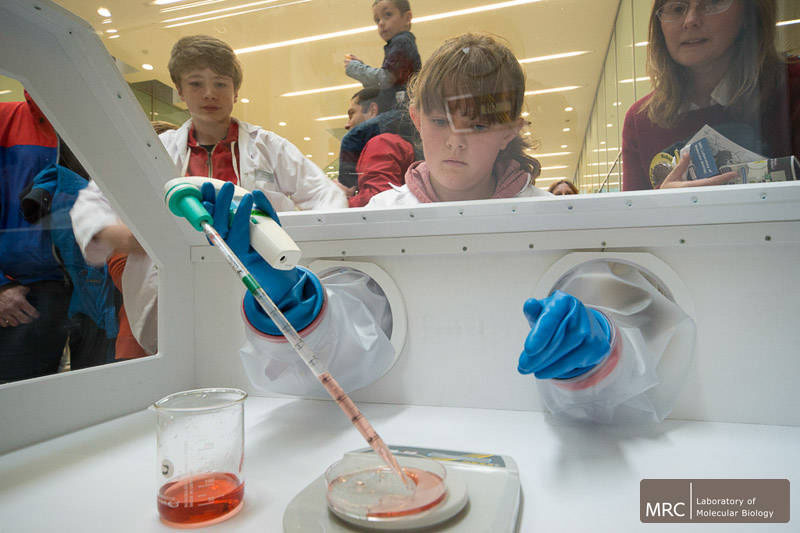 Home > News & Events > LMB News > Hundreds of happy children become scientists for the day, as LMB opens its doors to the public. 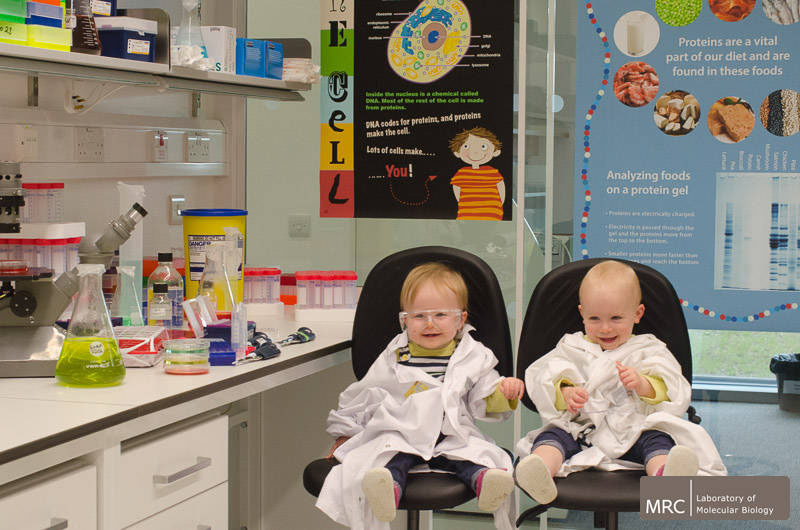 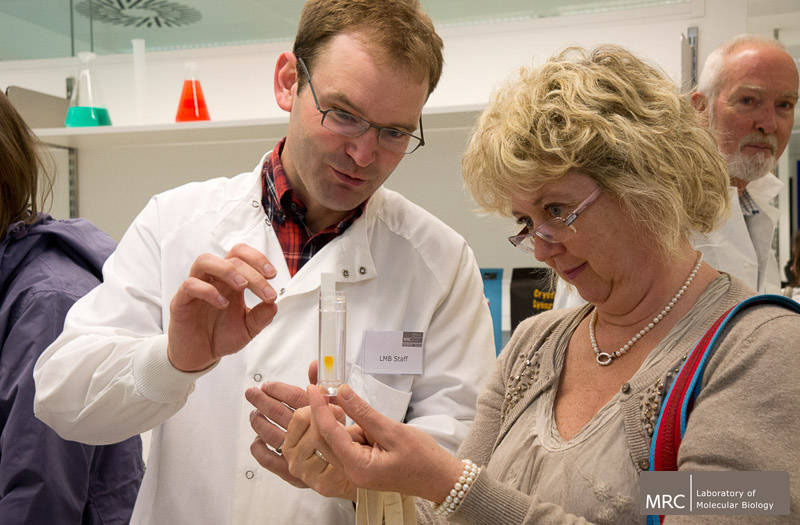 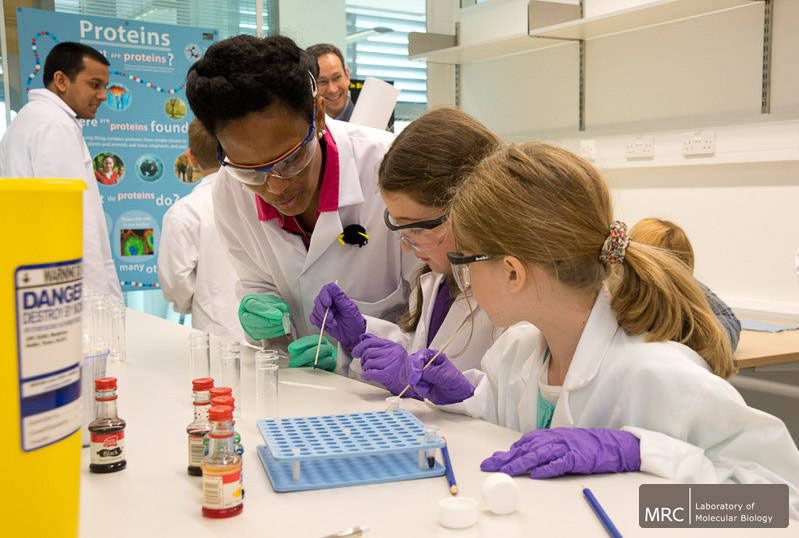 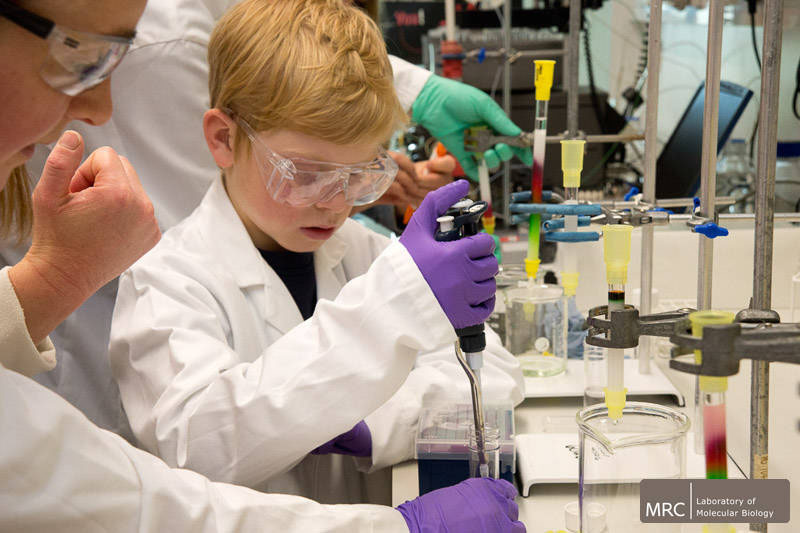 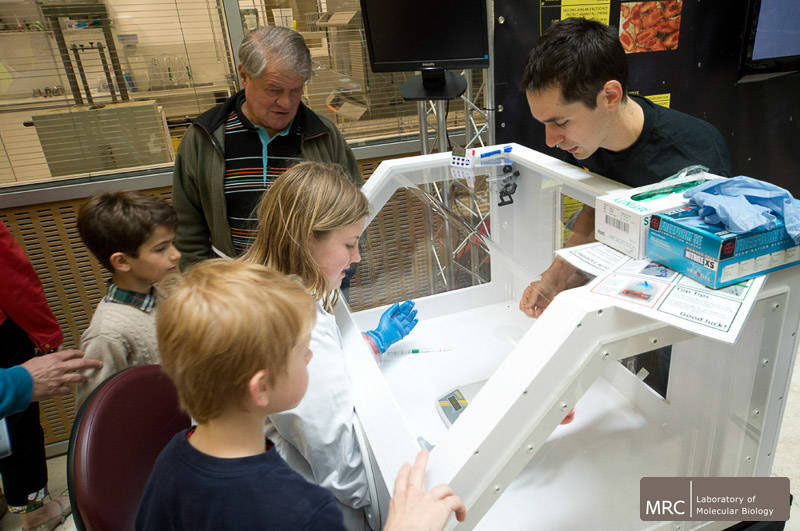 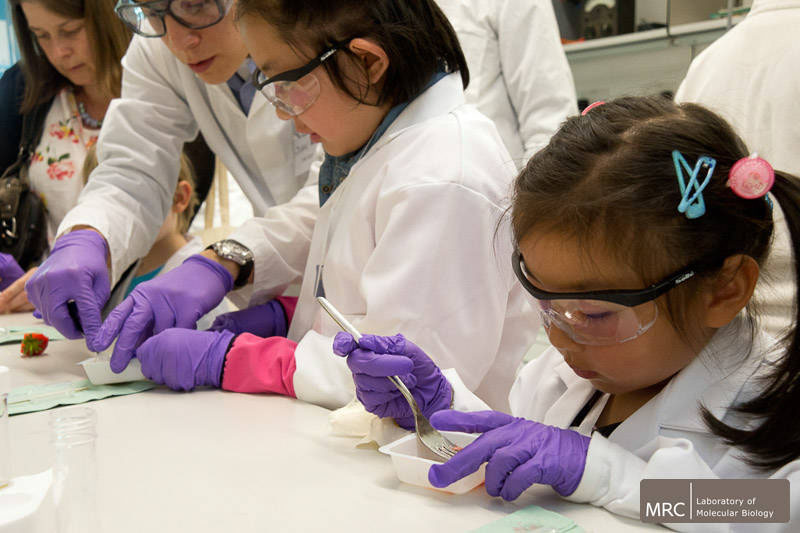 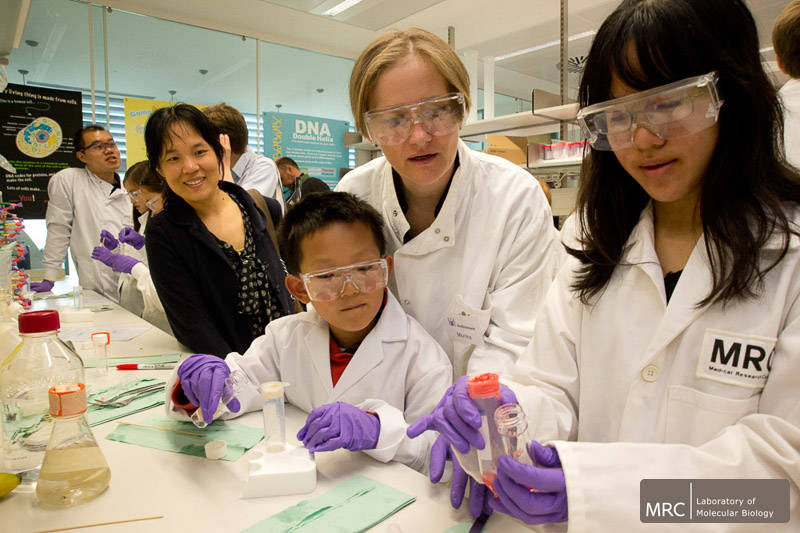 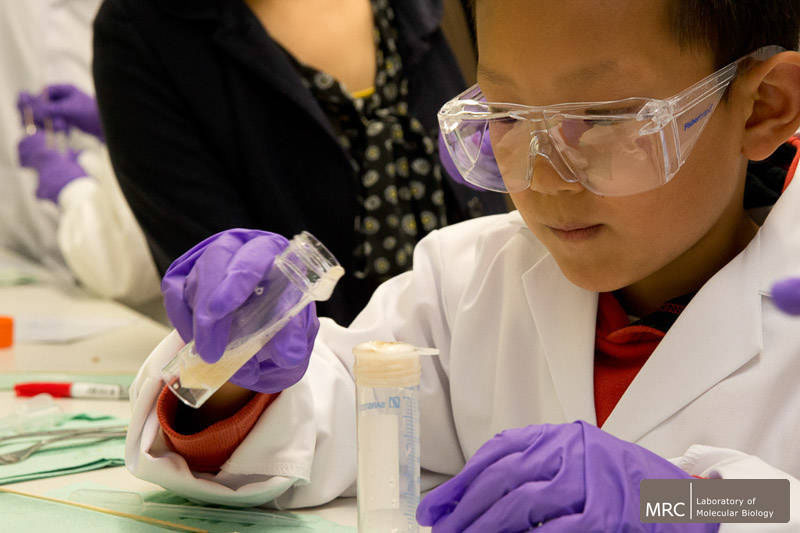 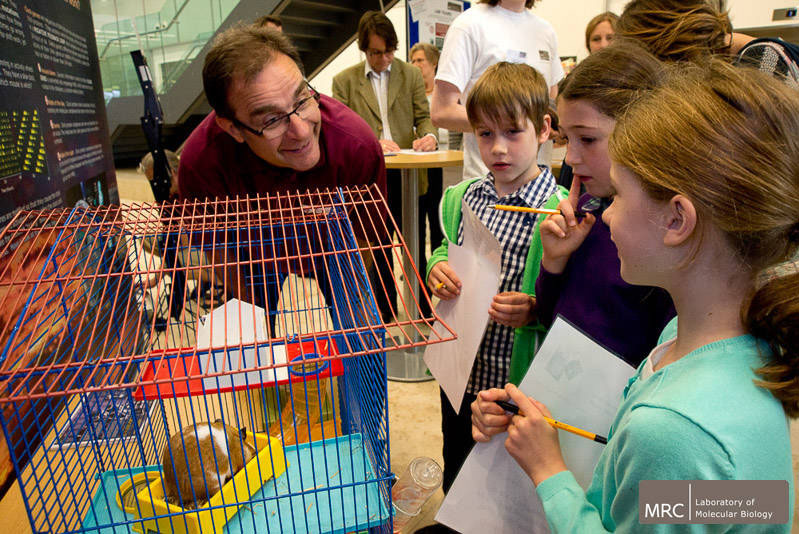 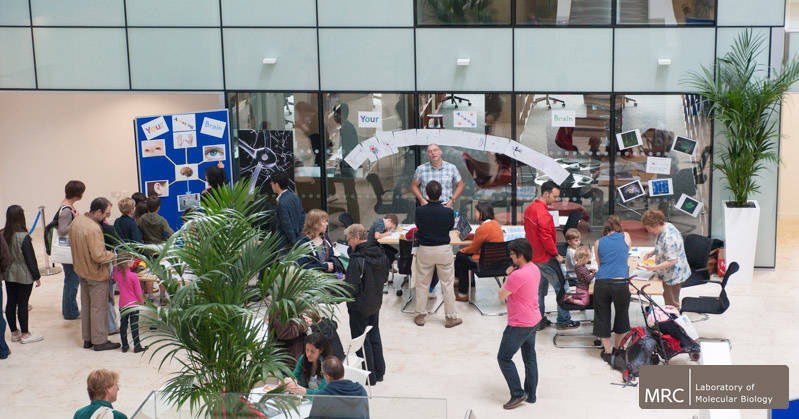 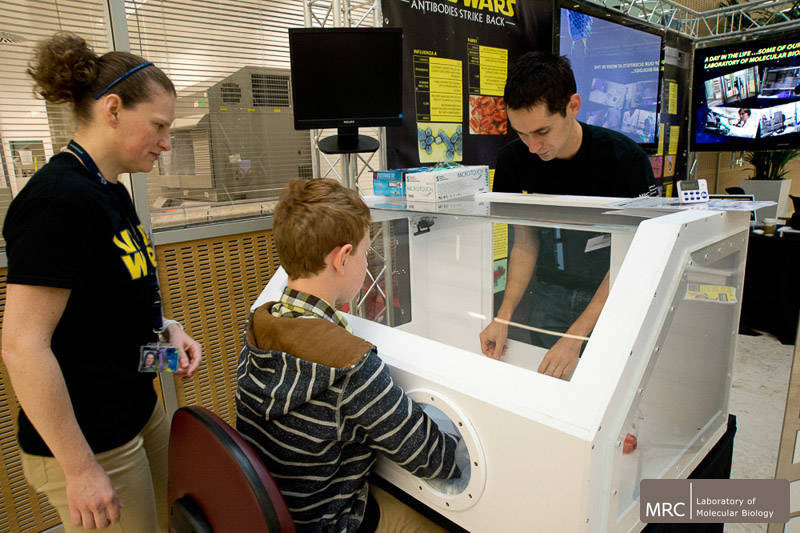 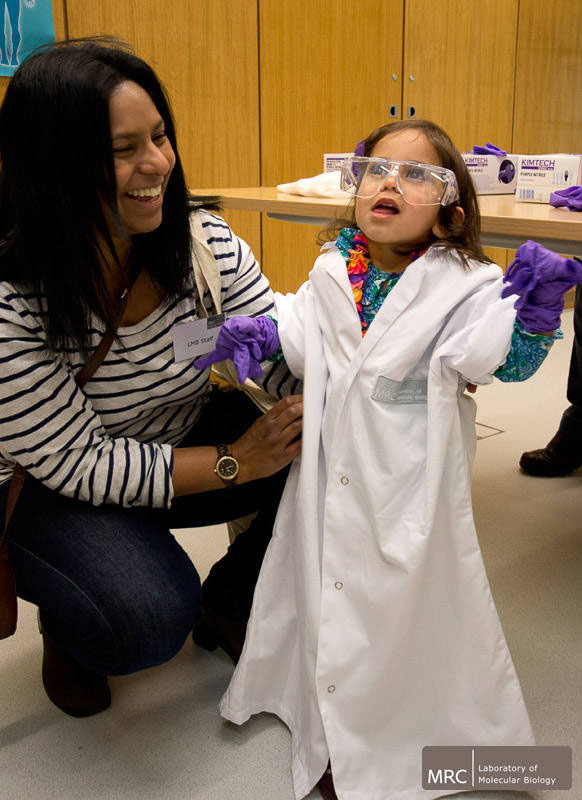 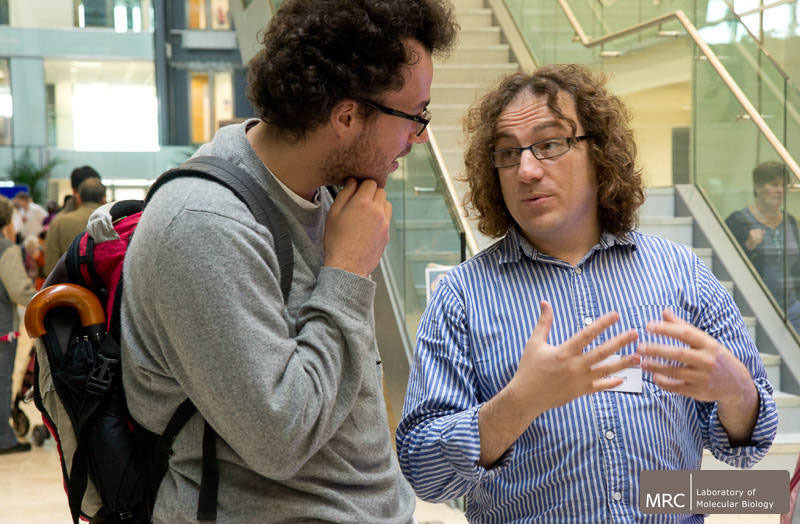 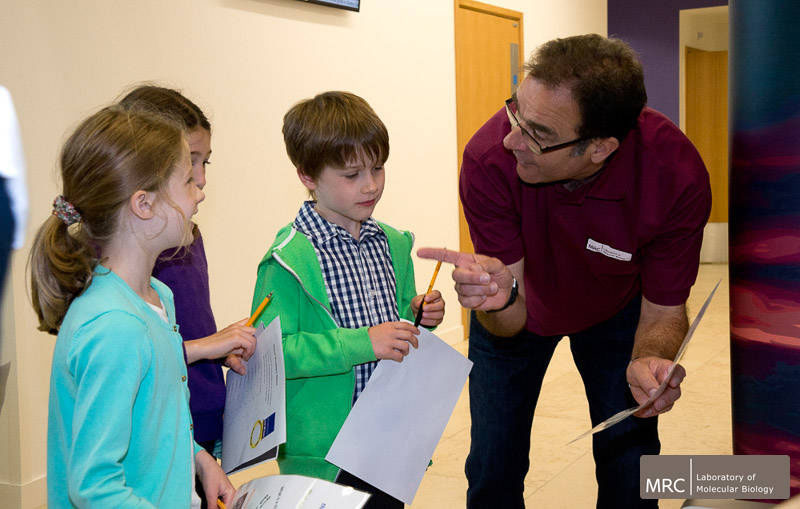 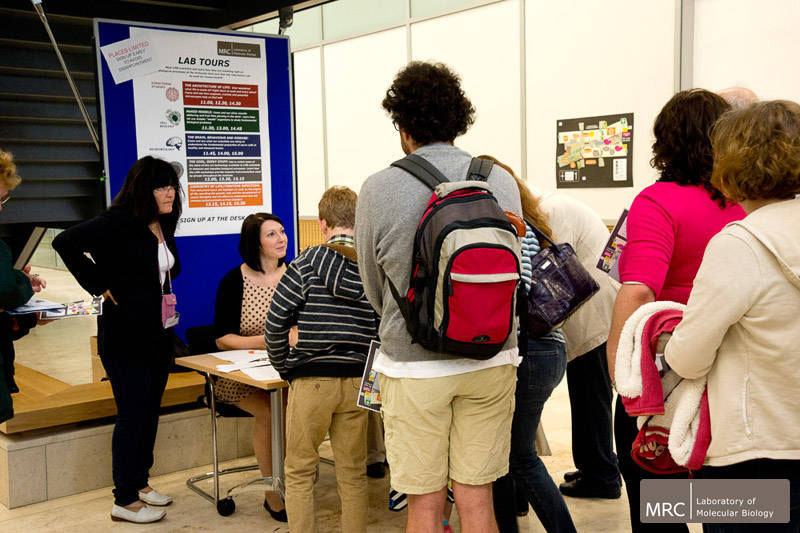 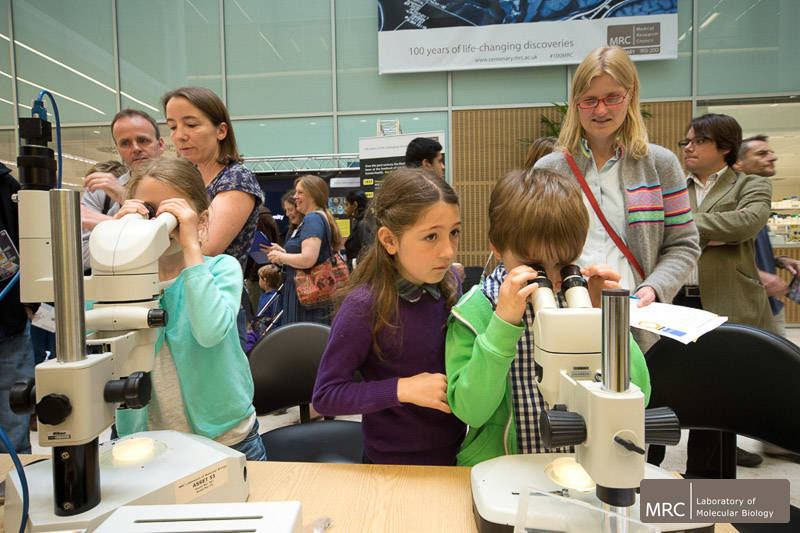 Hundreds of happy children become scientists for the day, as LMB opens its doors to the public. 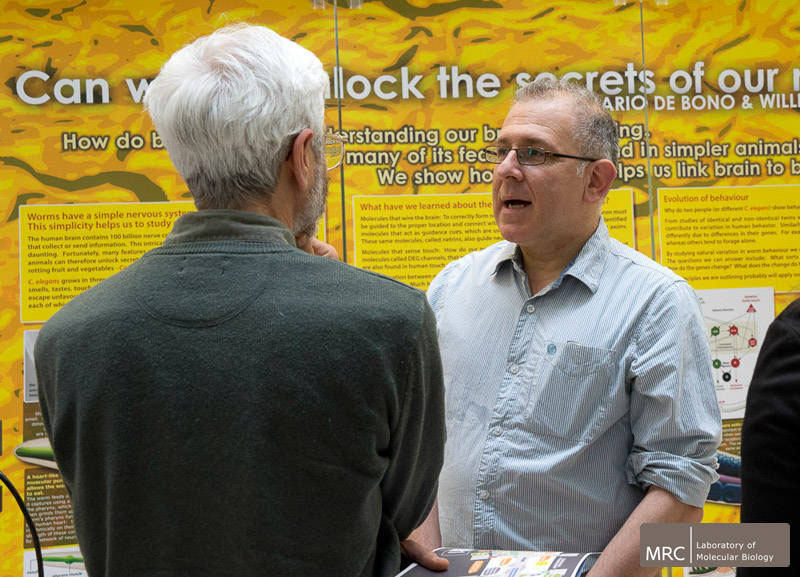 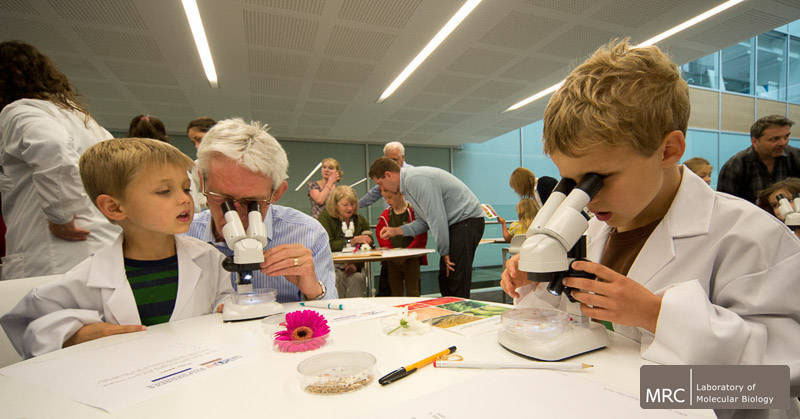 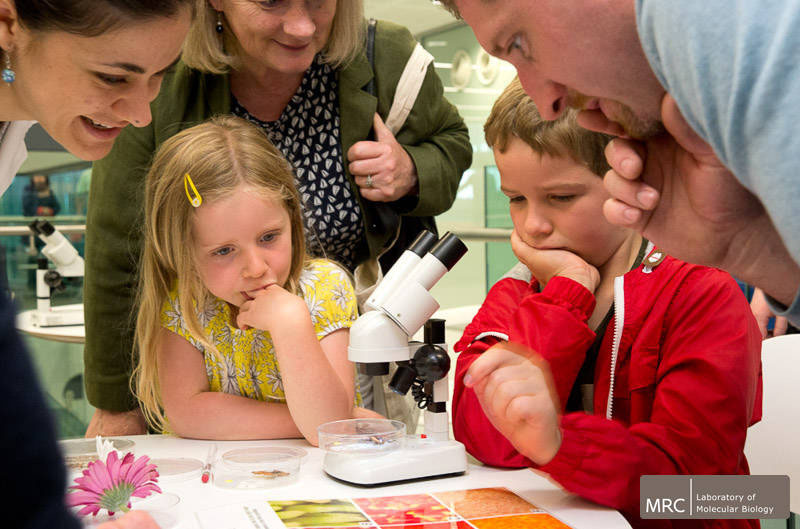 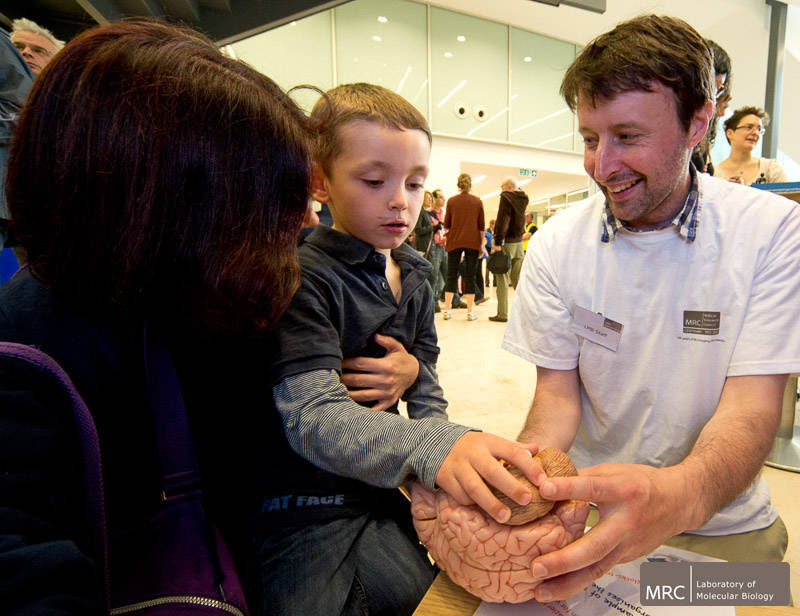 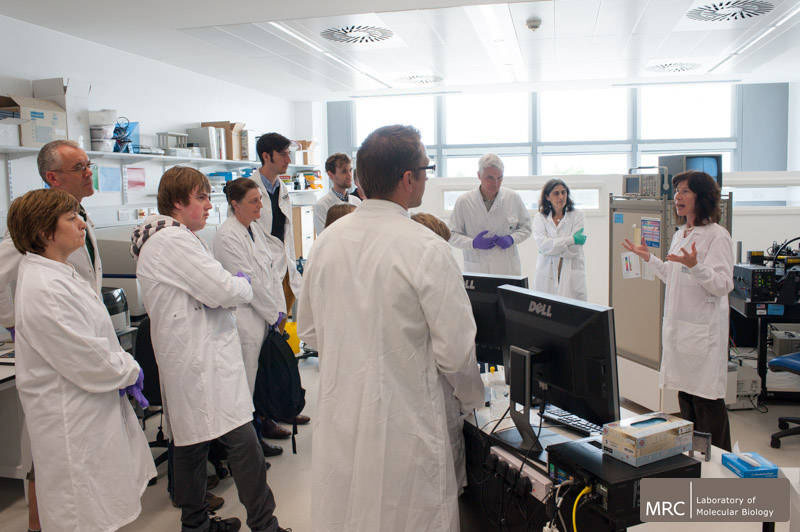 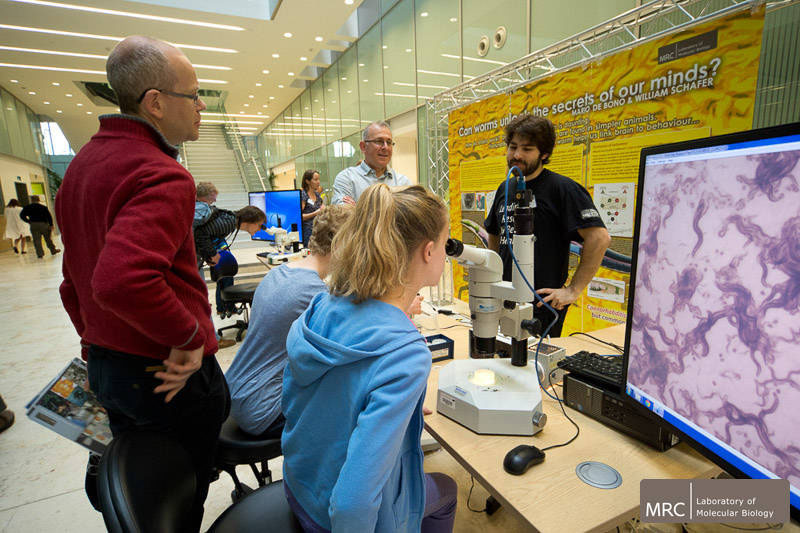 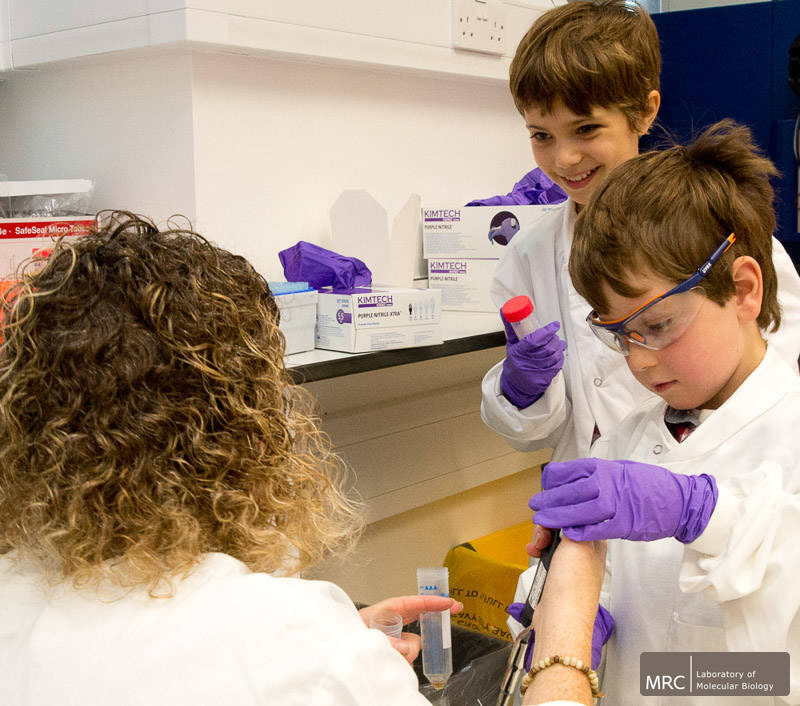 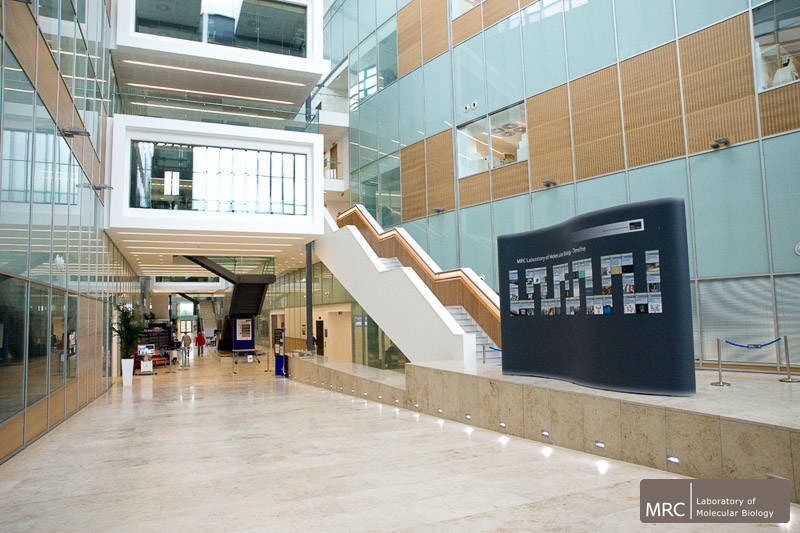 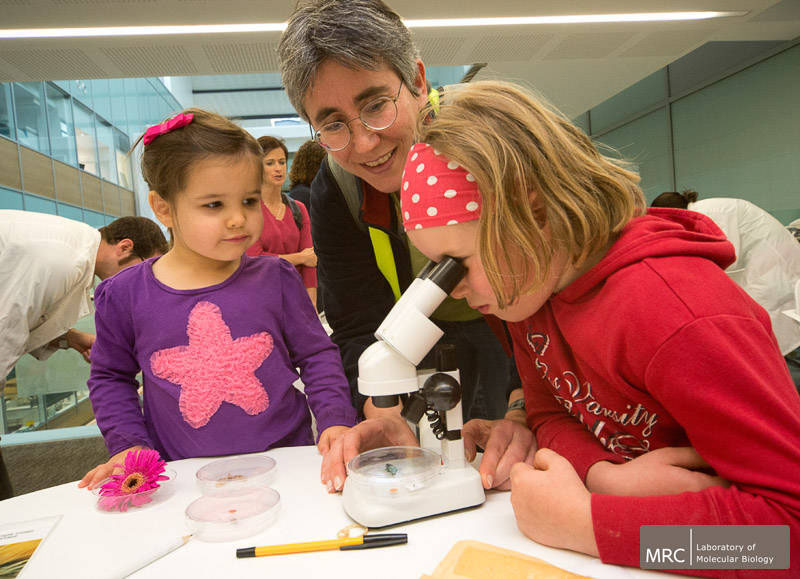 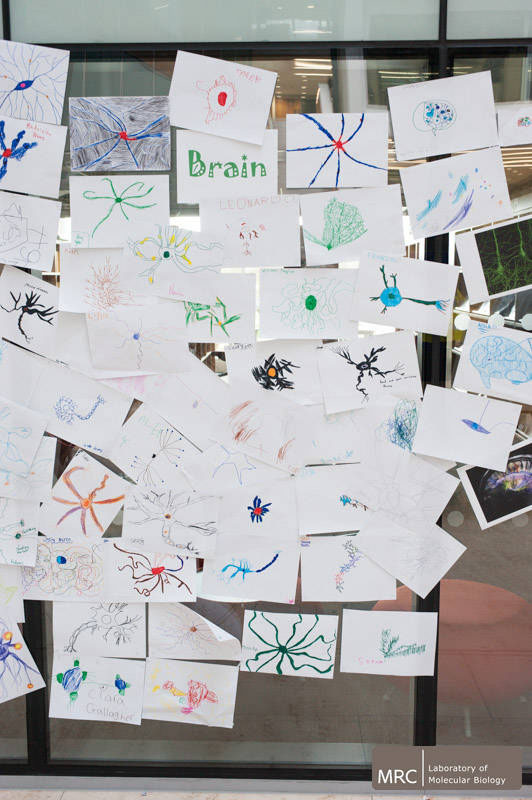 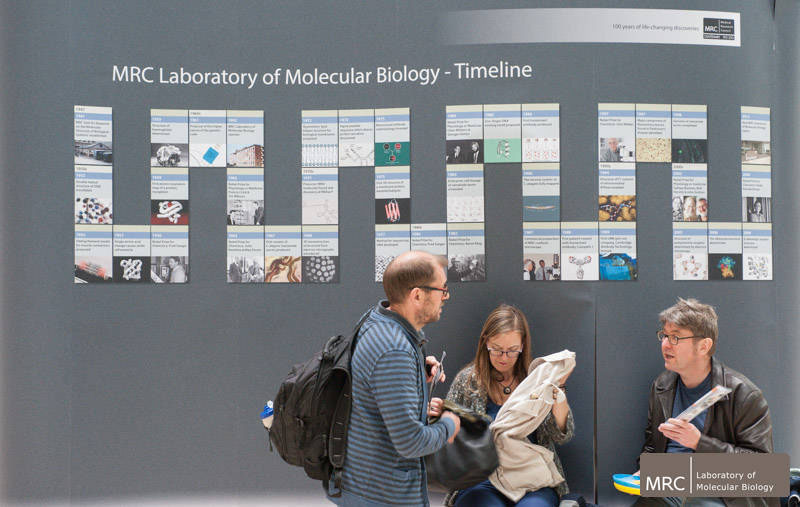 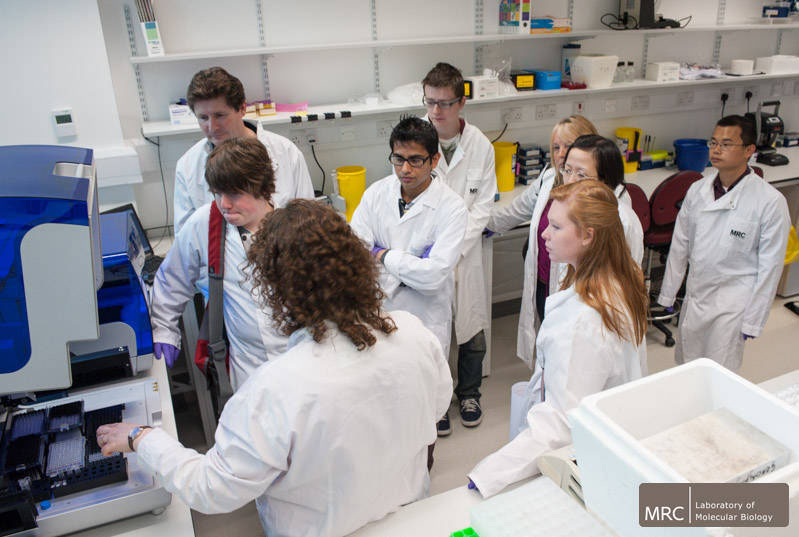 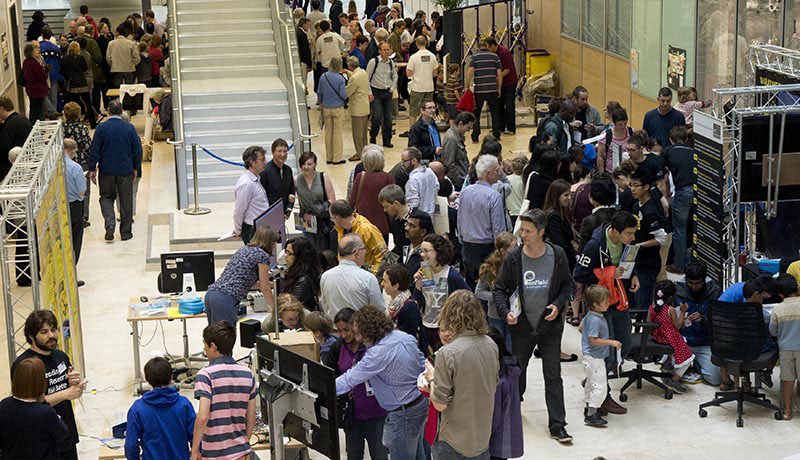 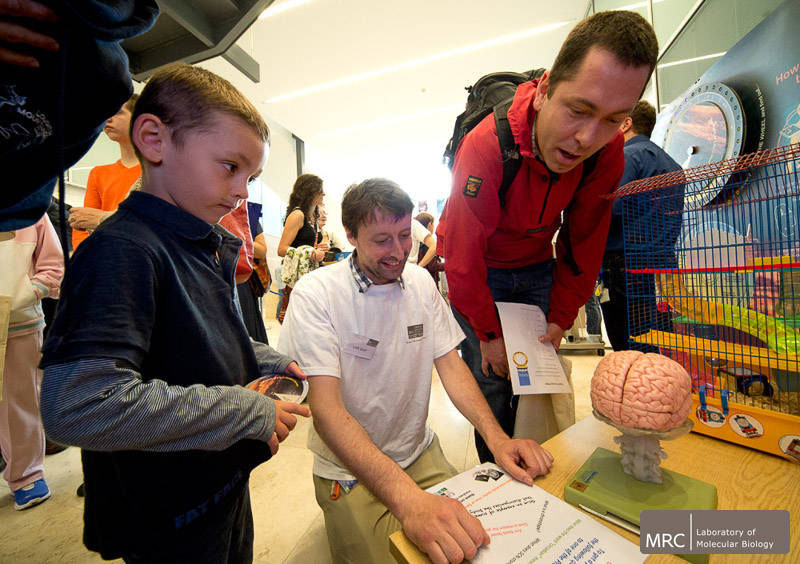 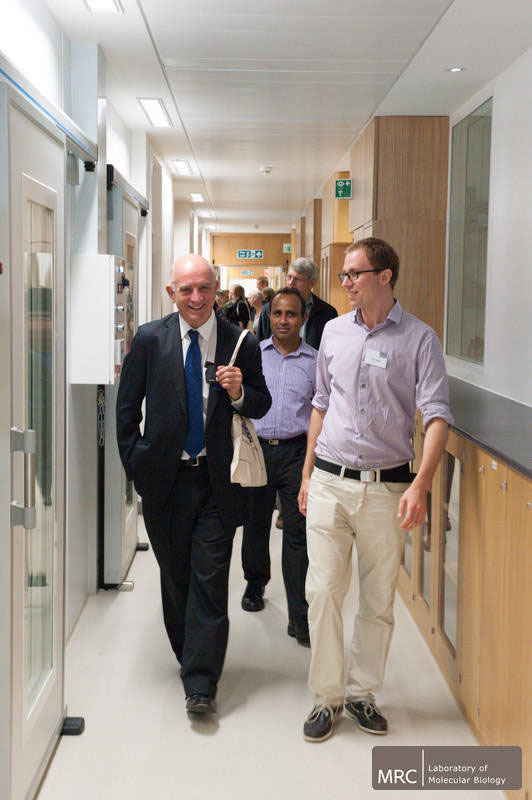 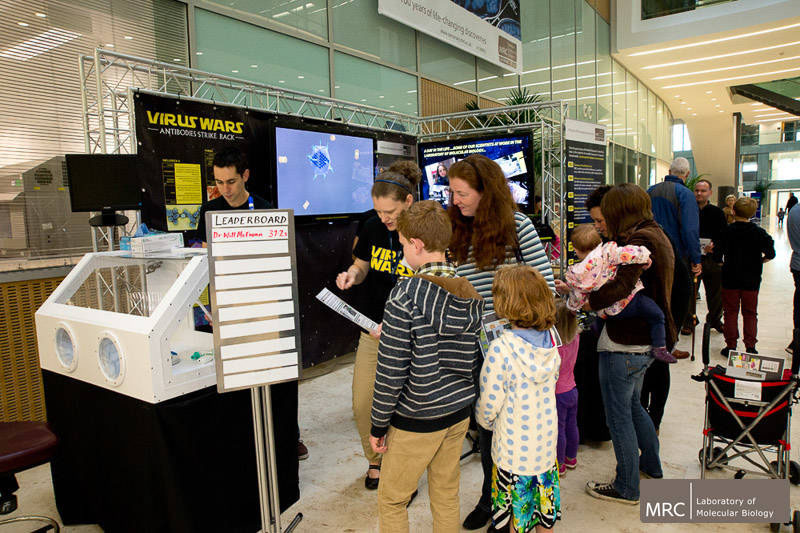 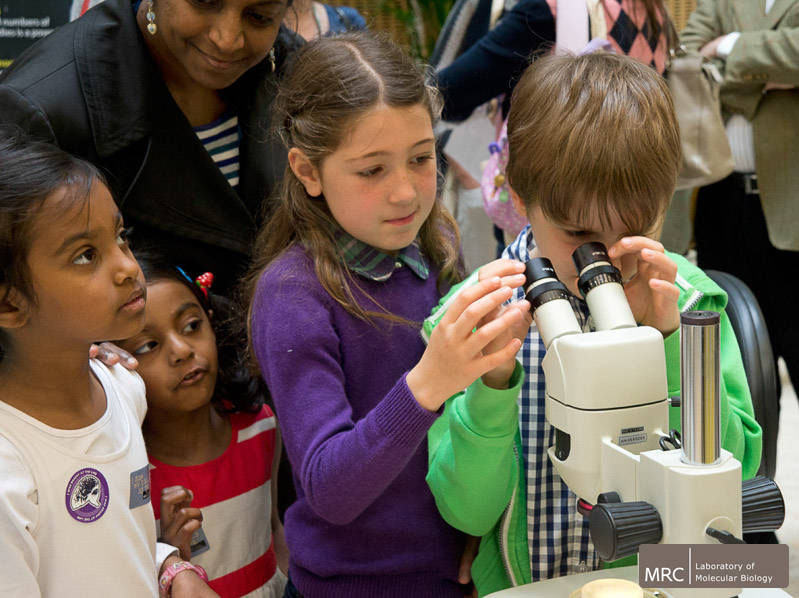 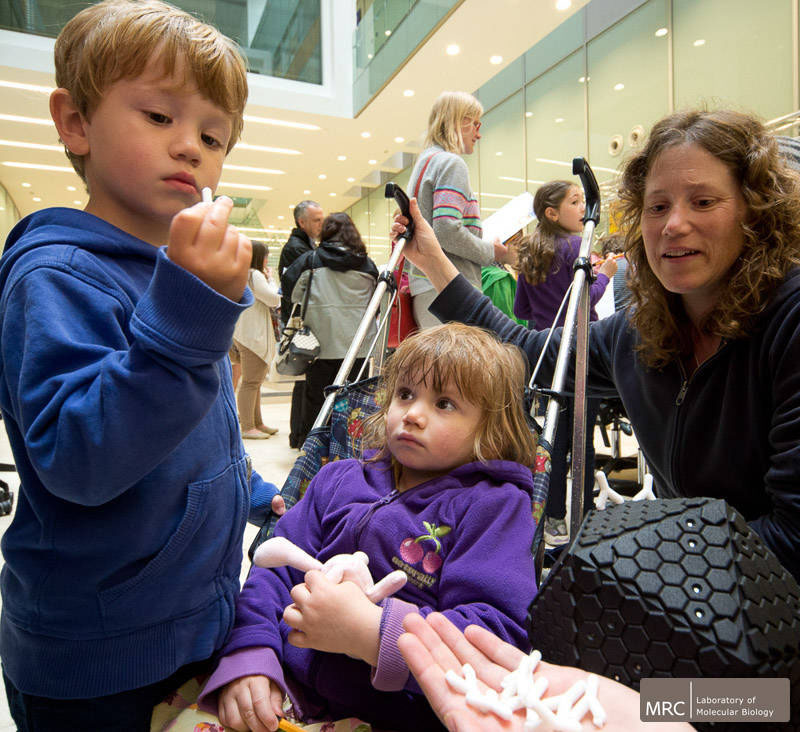 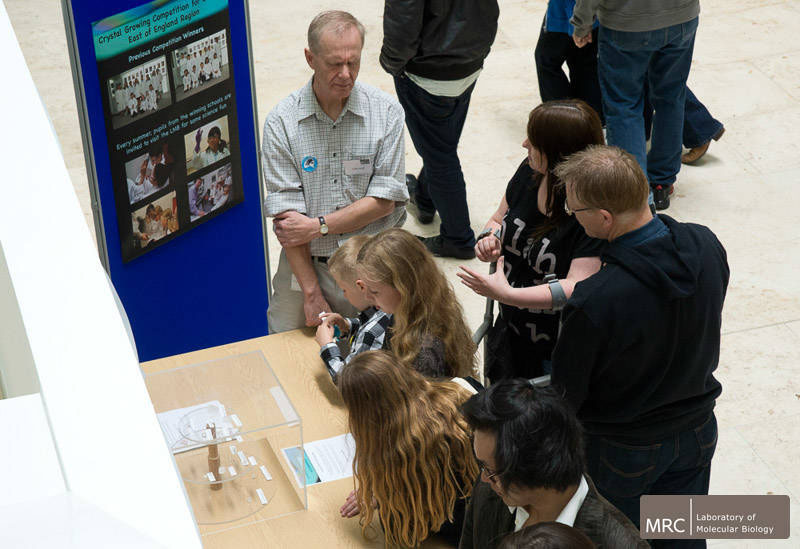 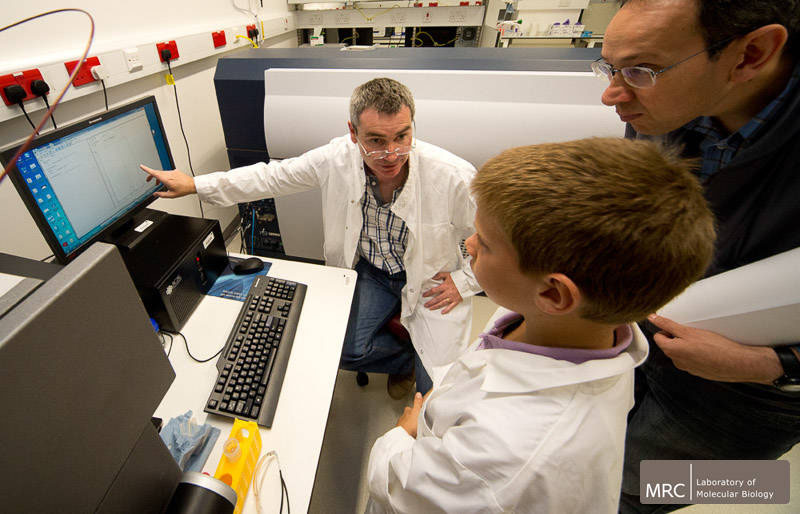 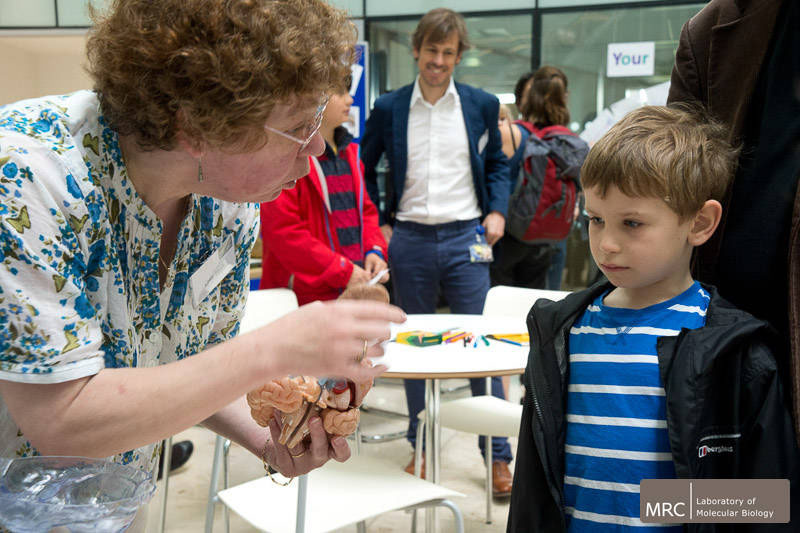 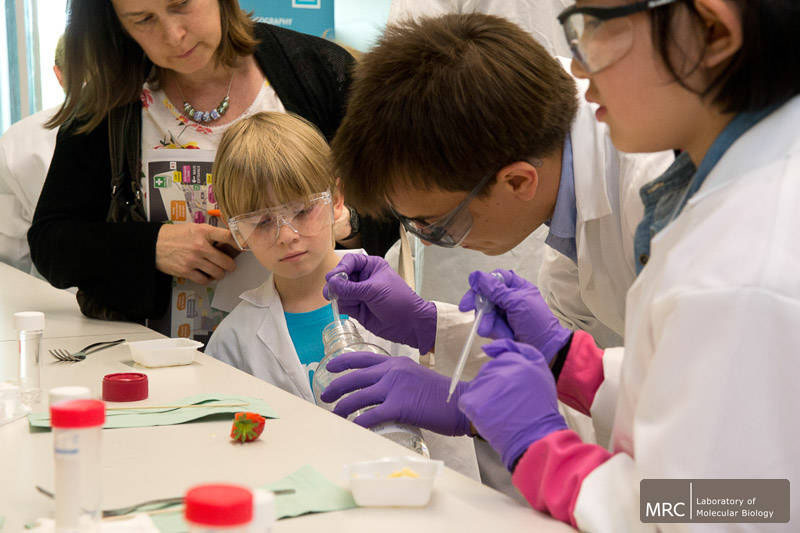 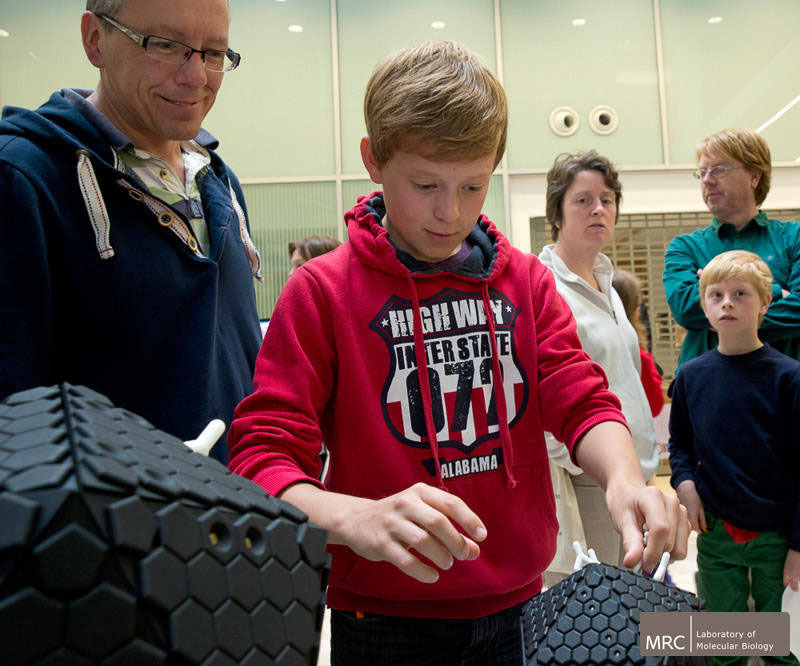 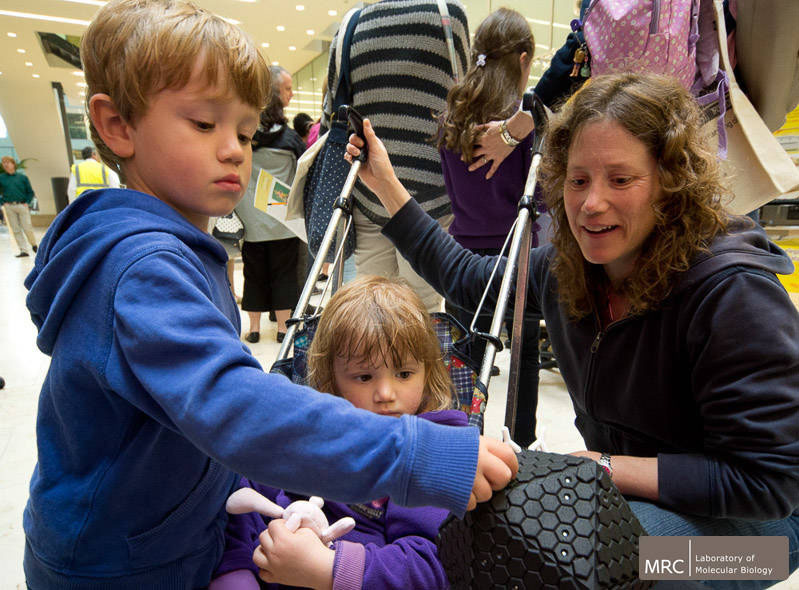 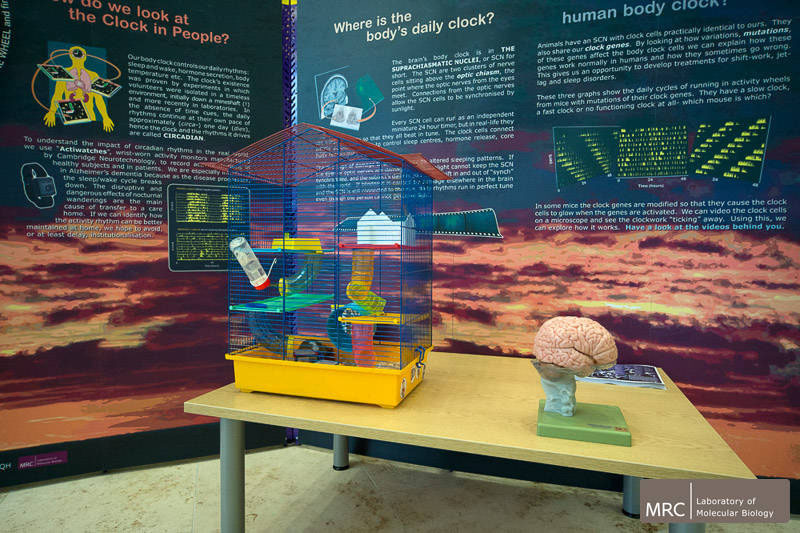 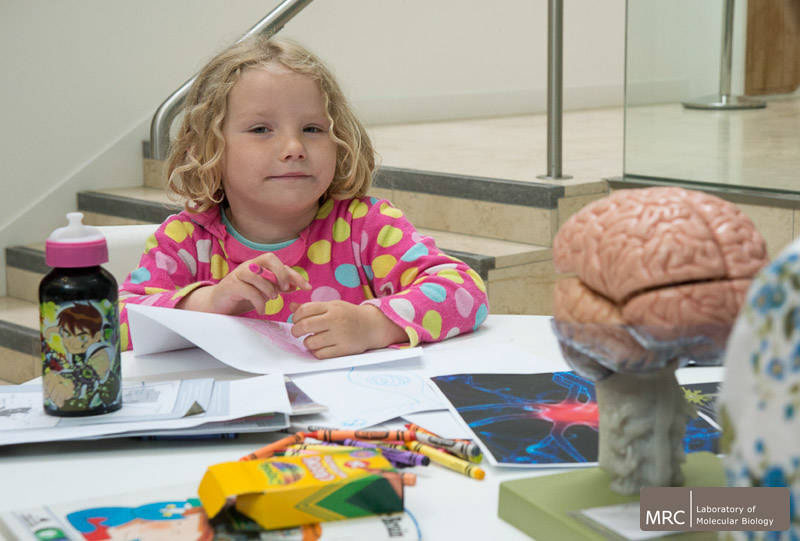 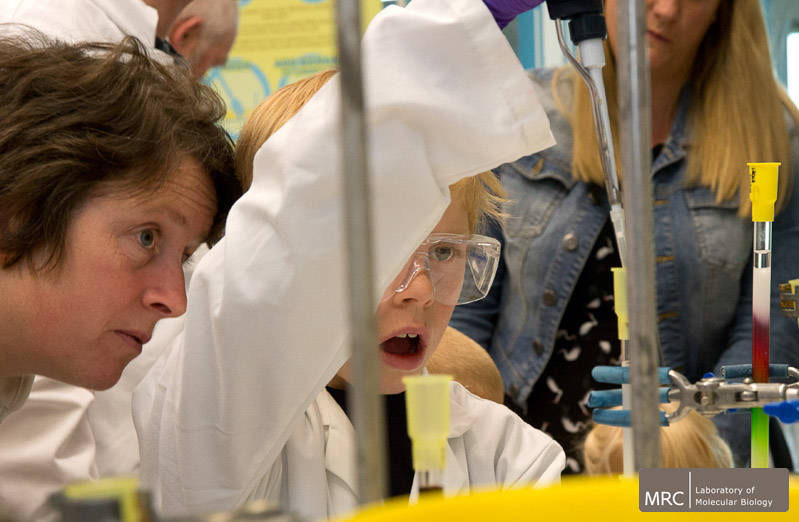 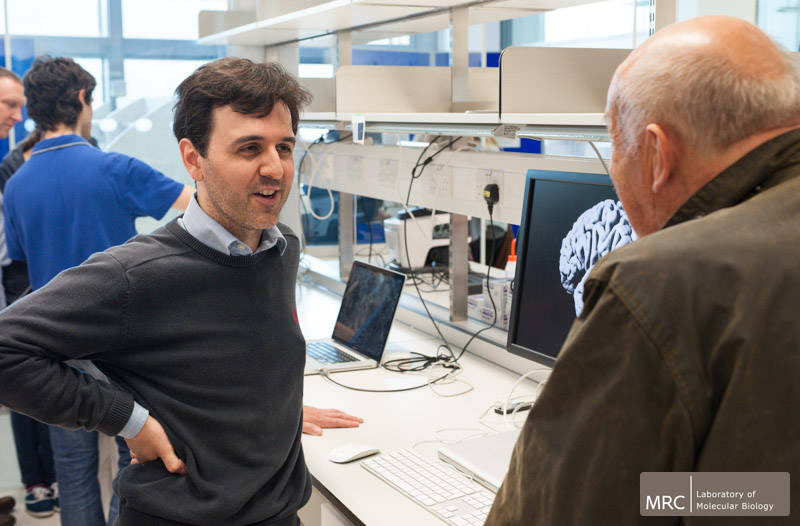 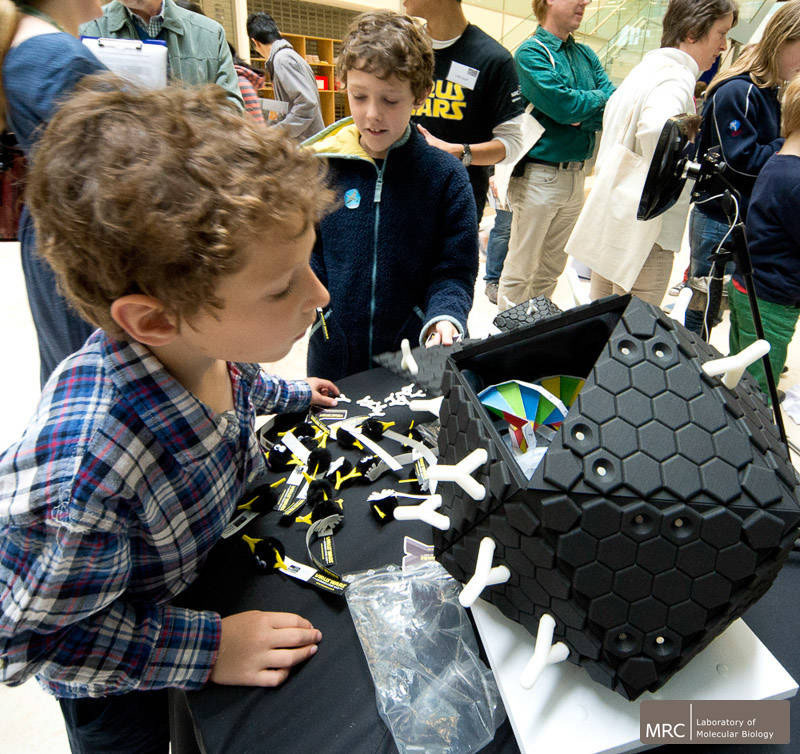 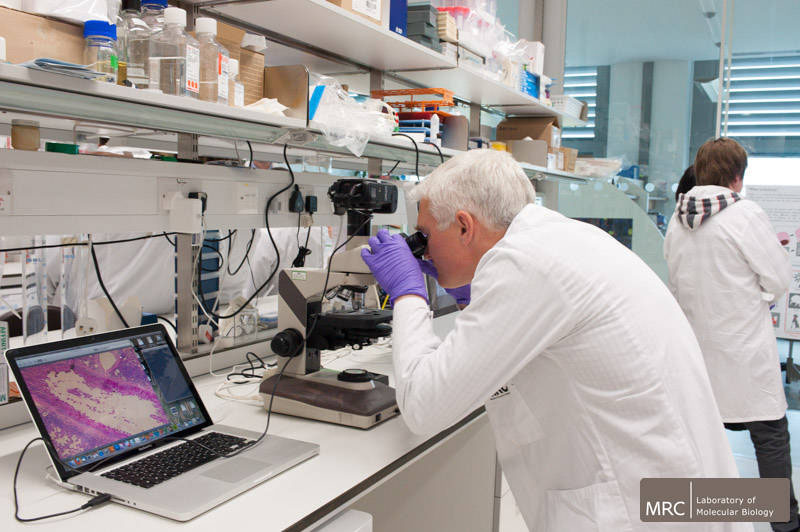 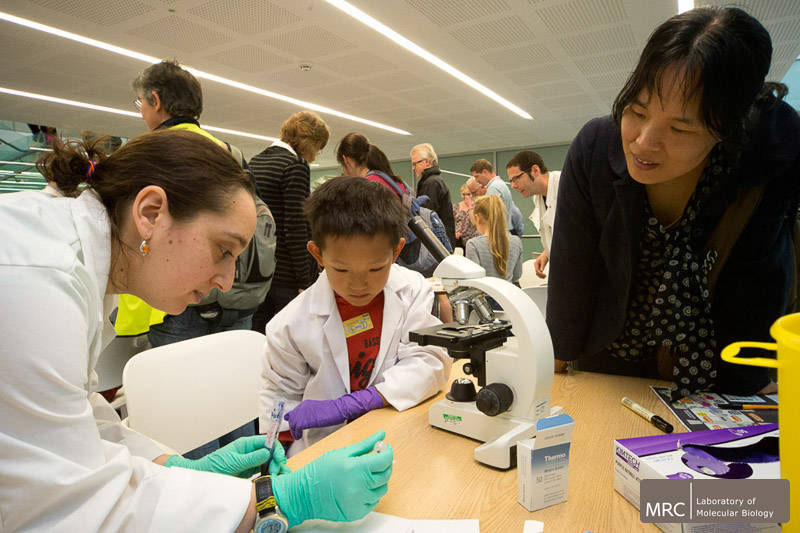 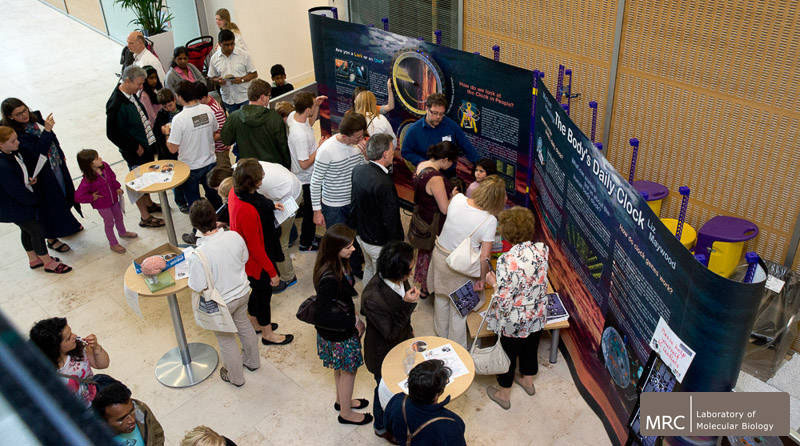 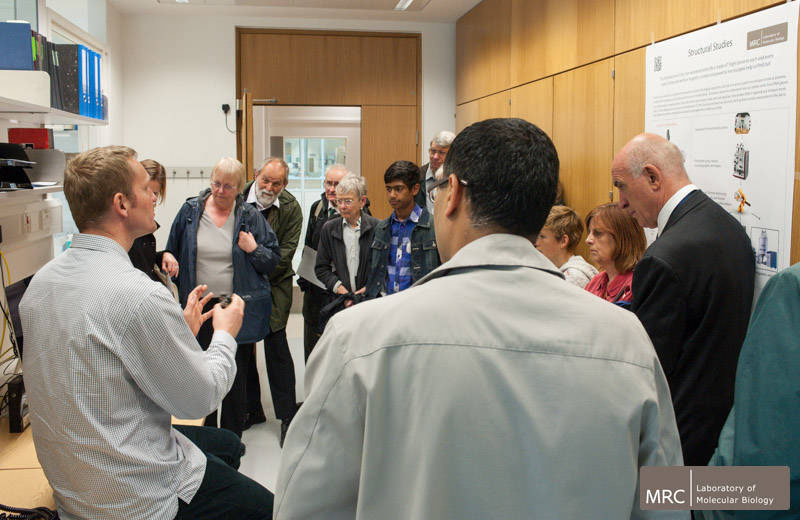 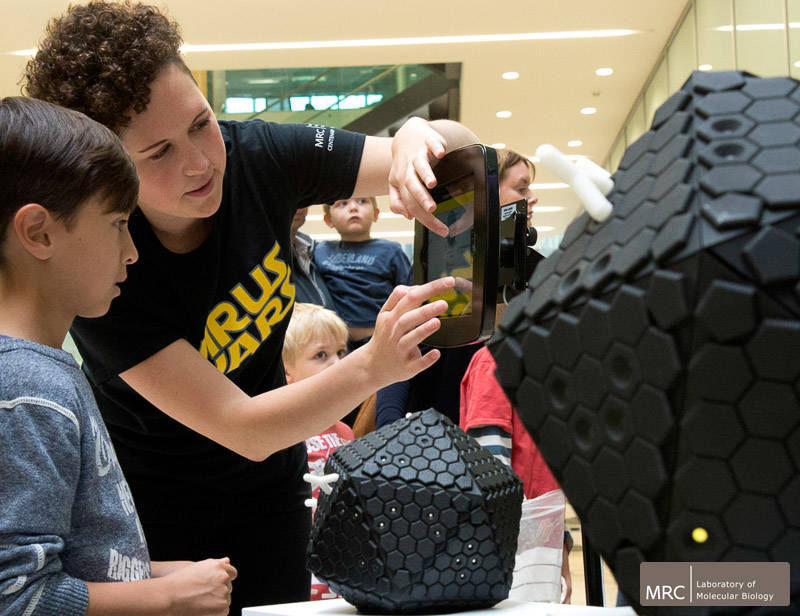 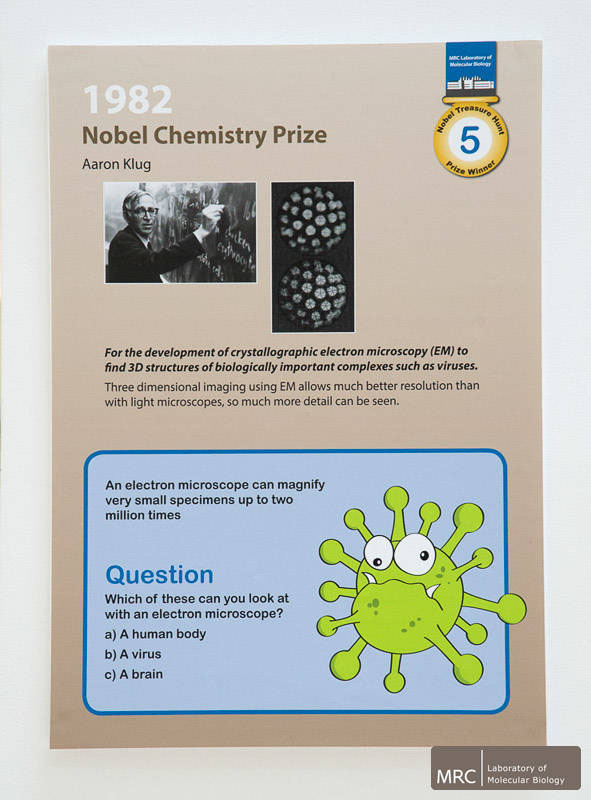 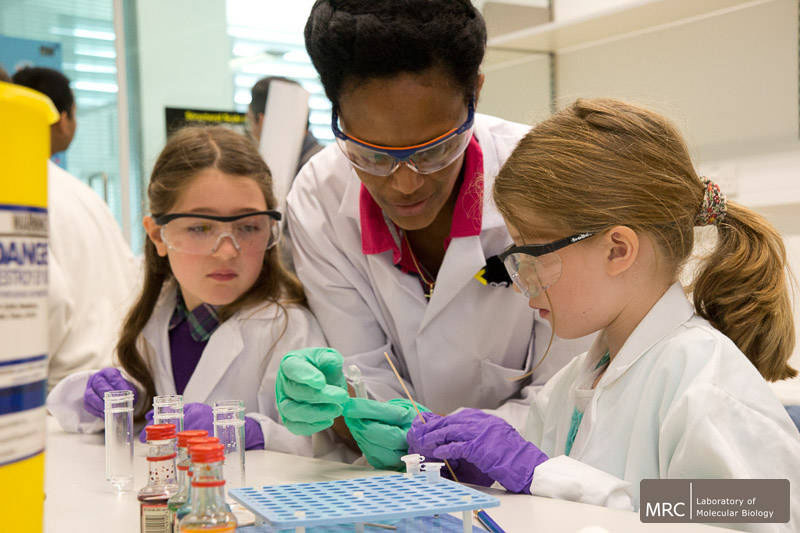 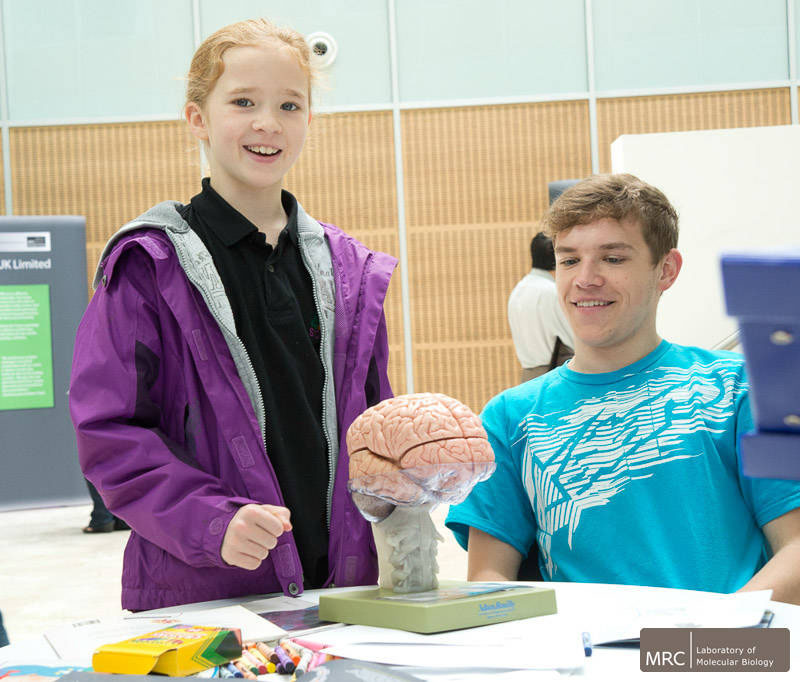 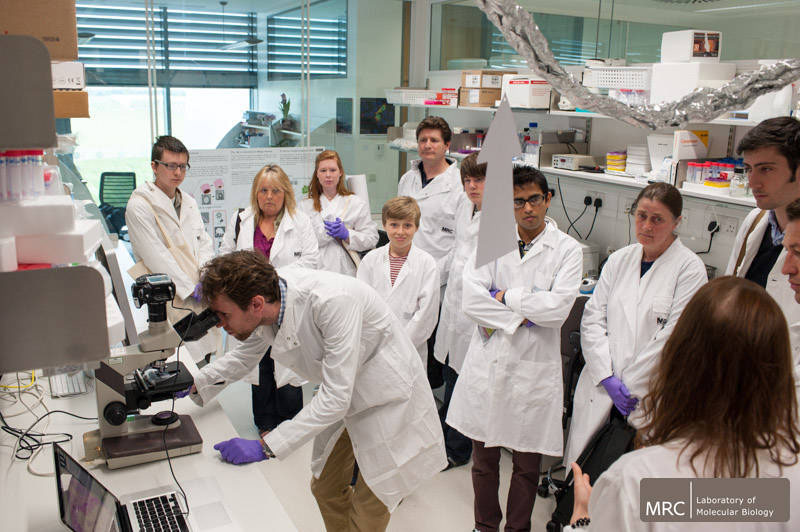 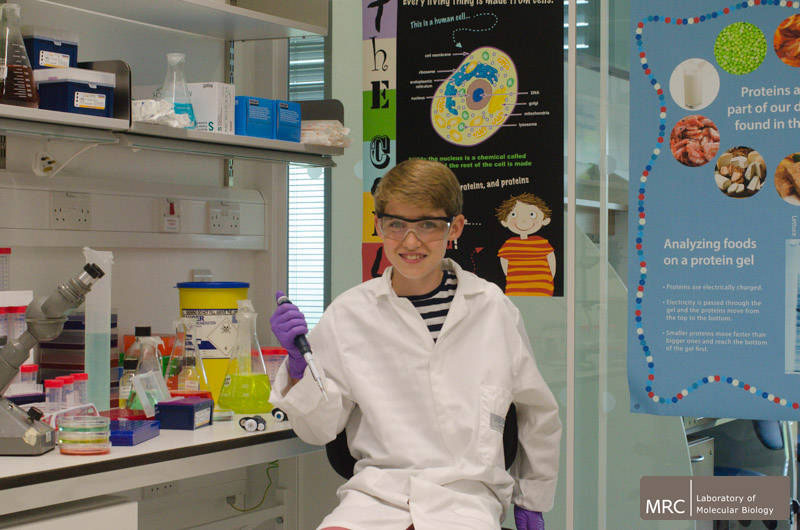 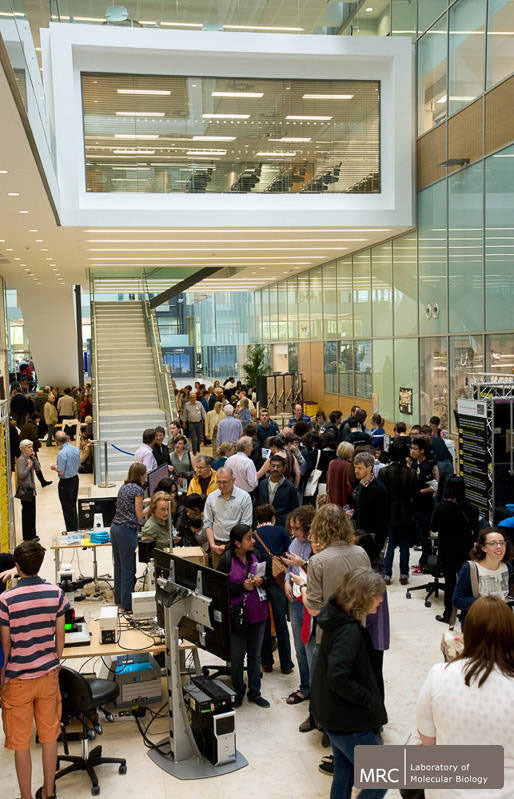 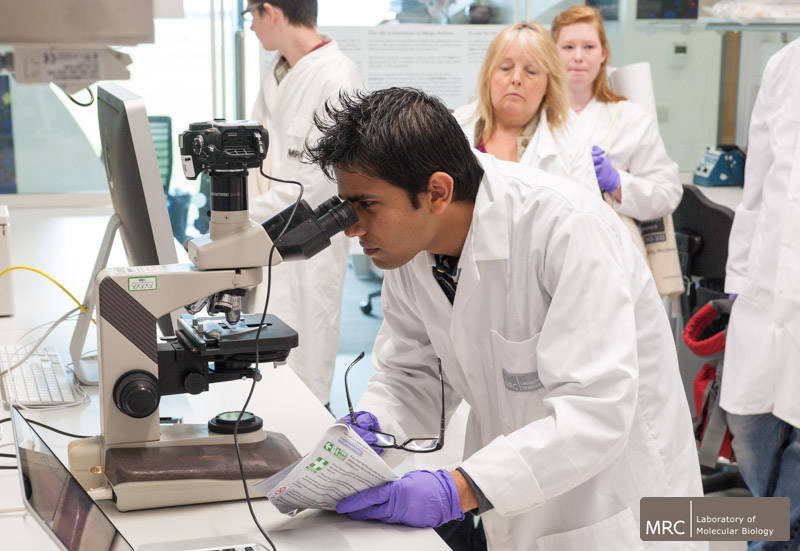 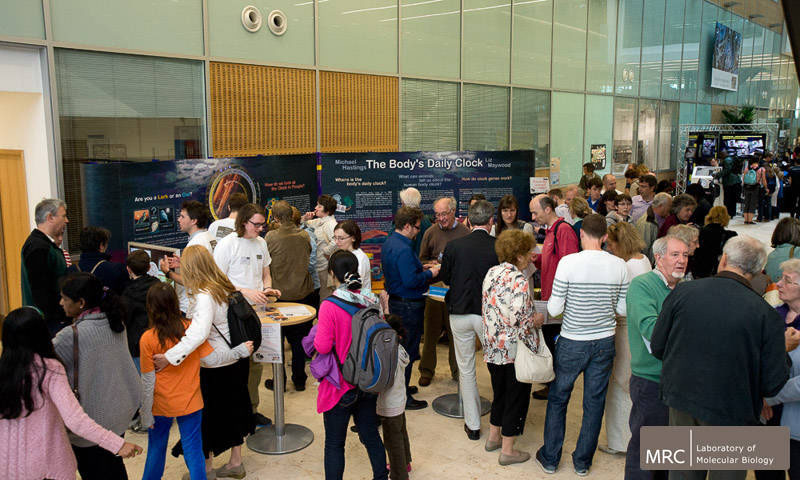 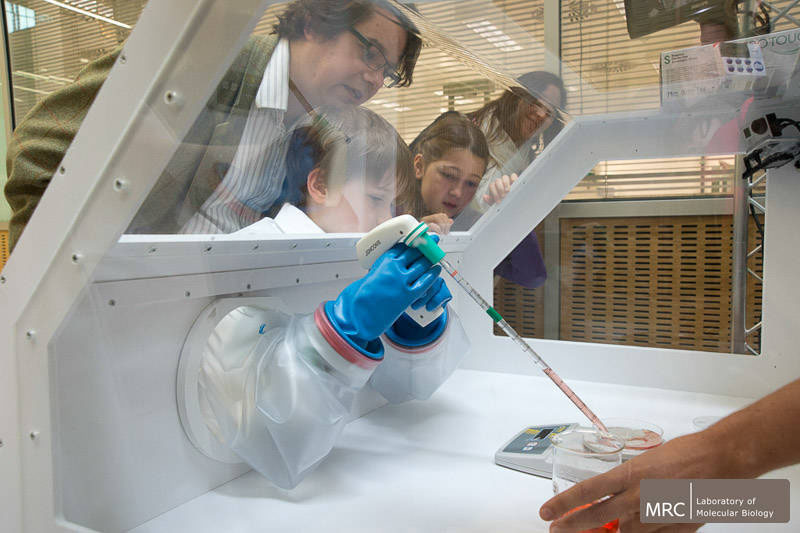 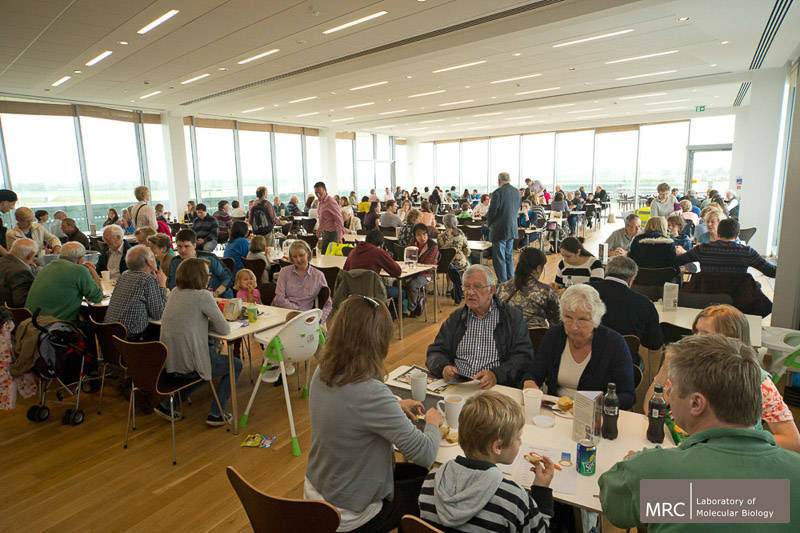 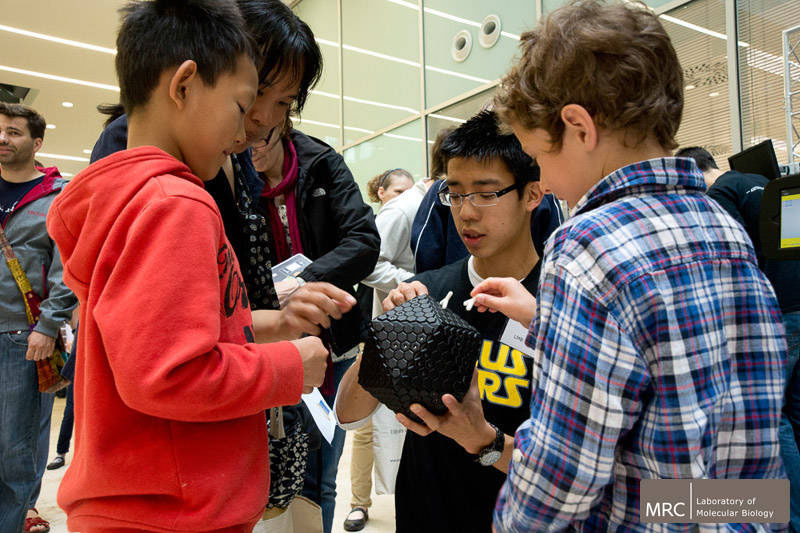 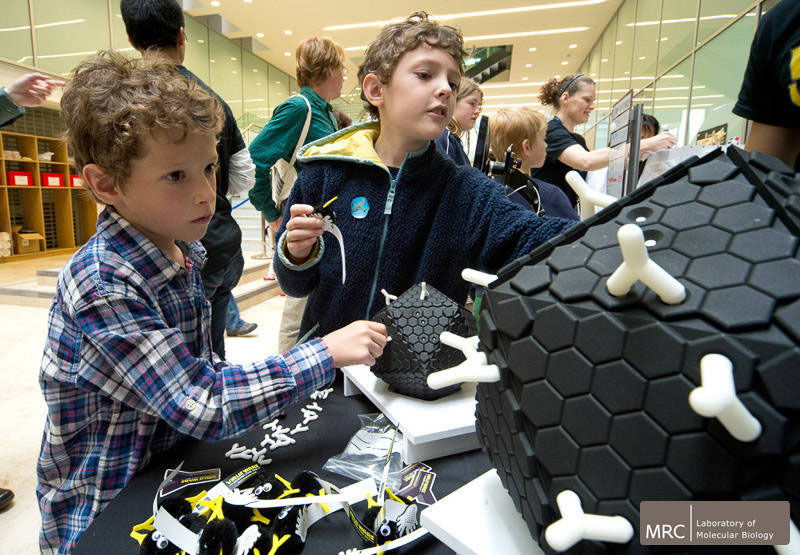 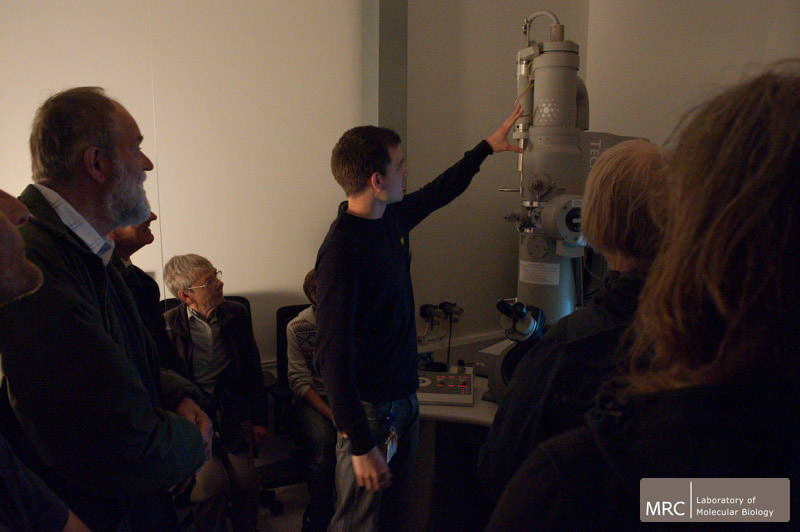 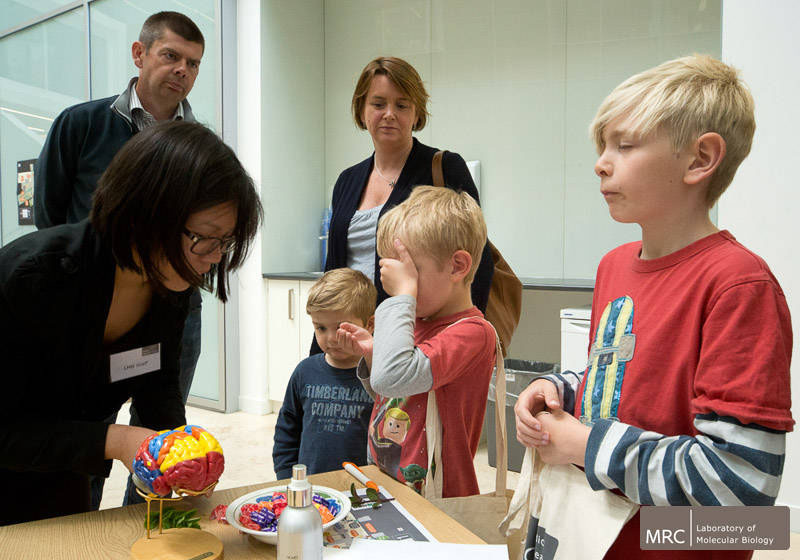 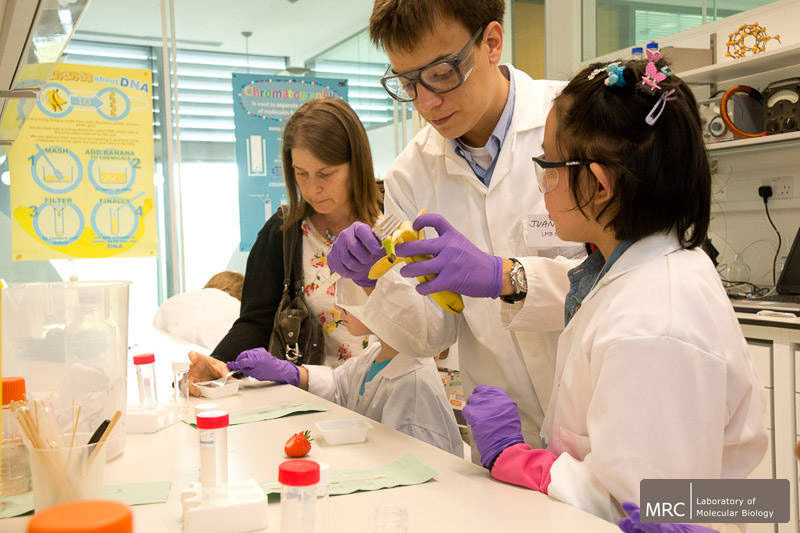 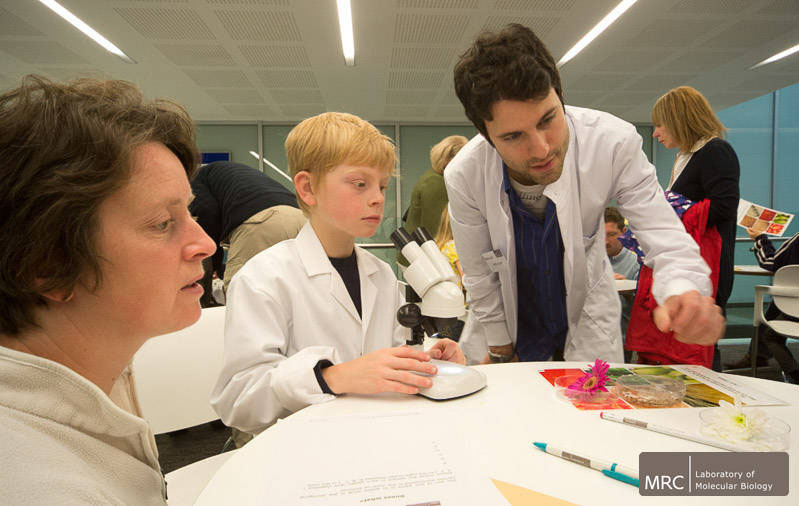 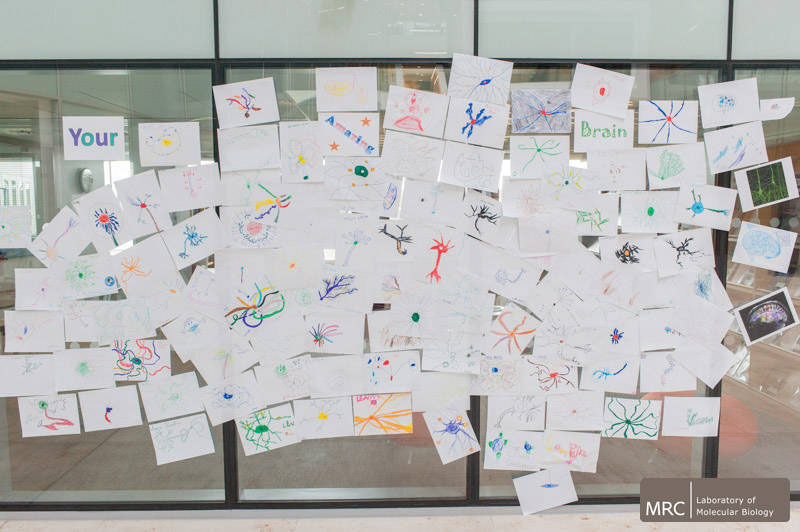 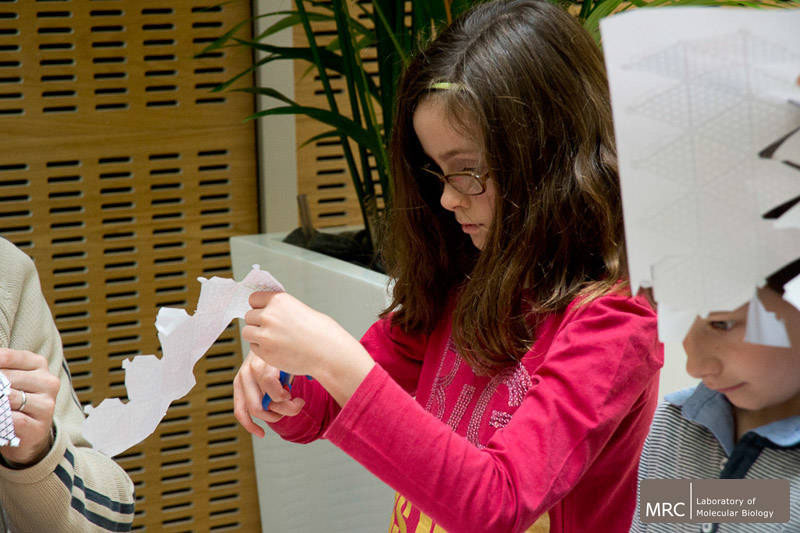 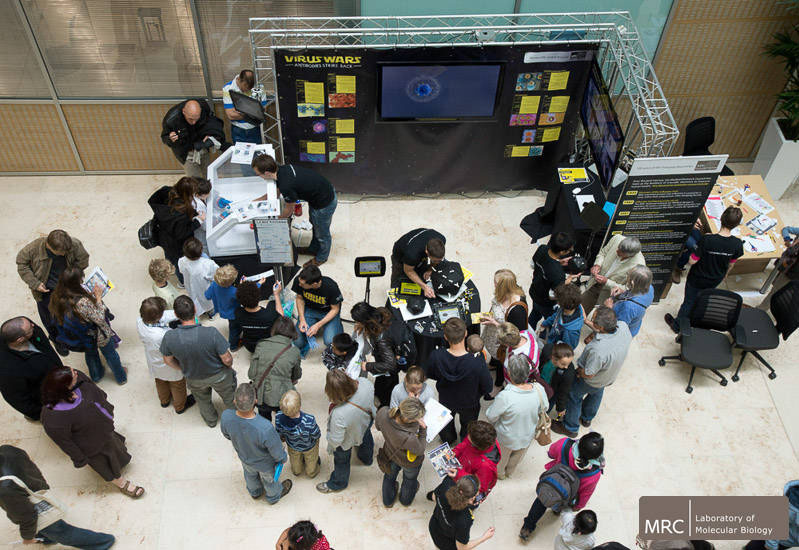 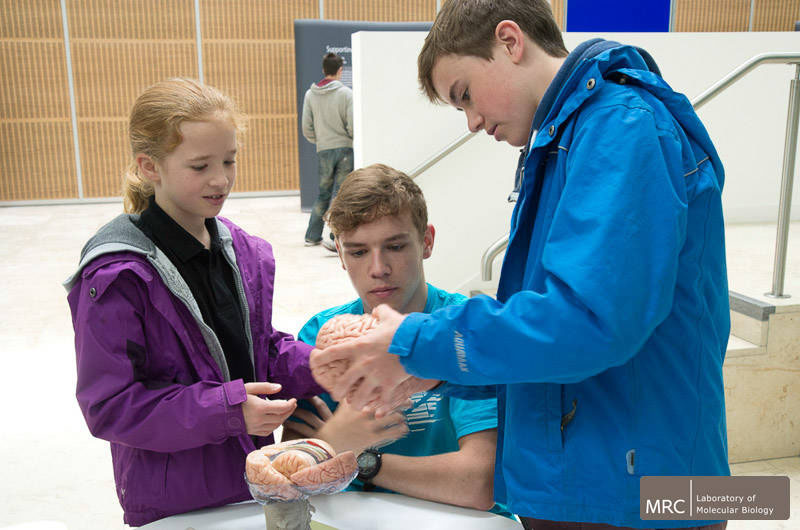 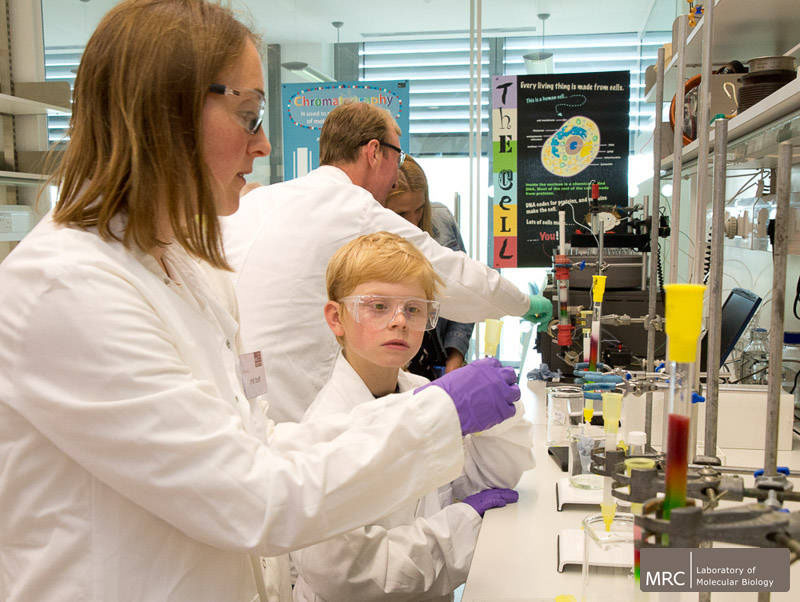 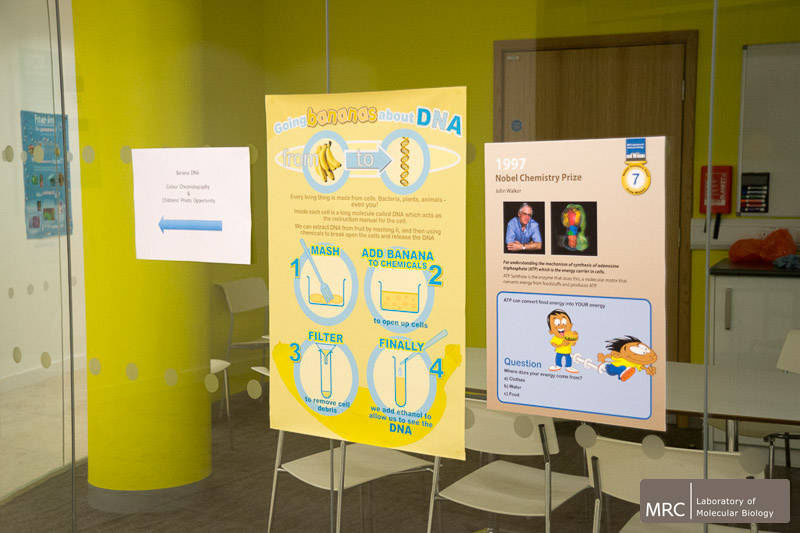 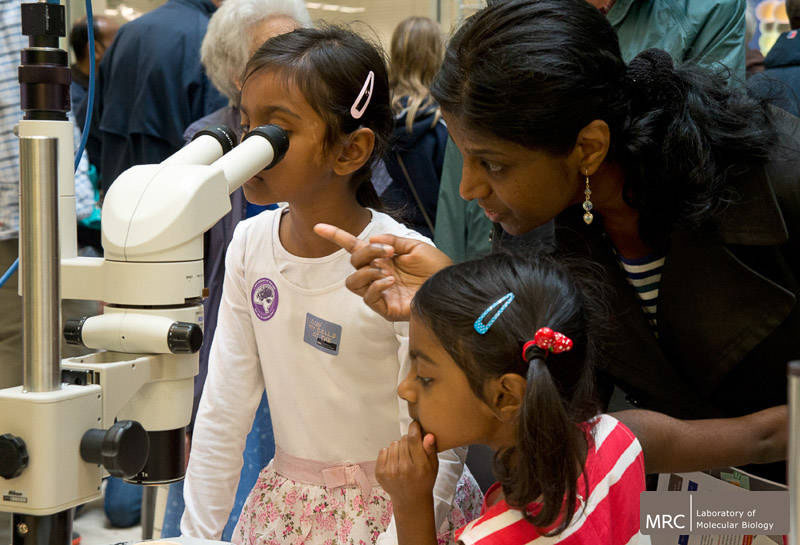 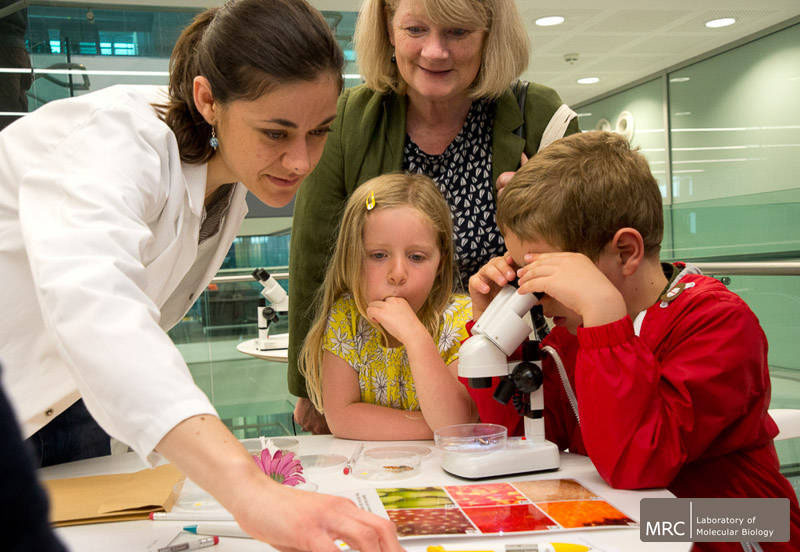 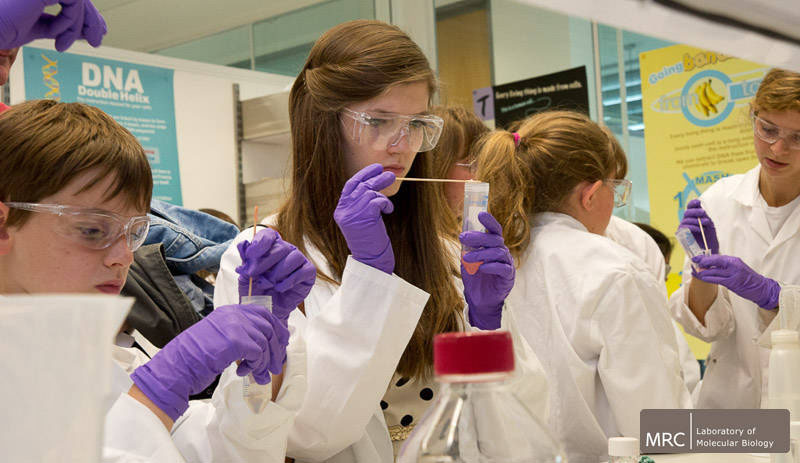 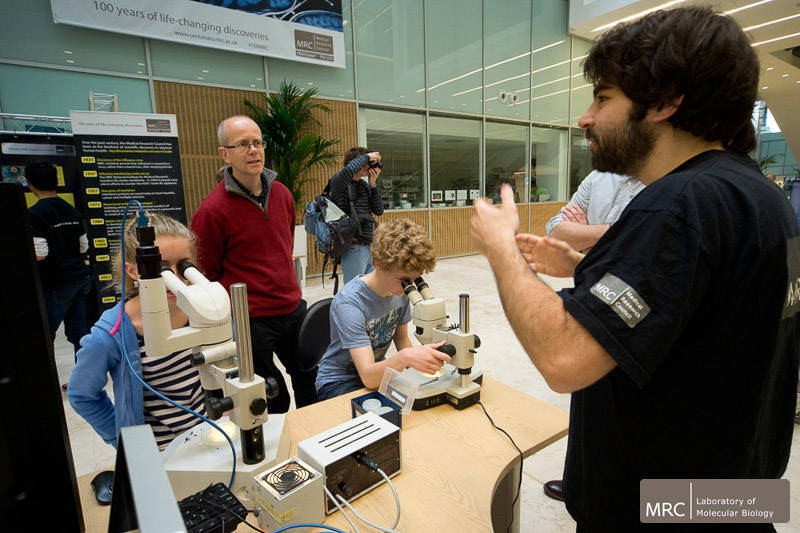 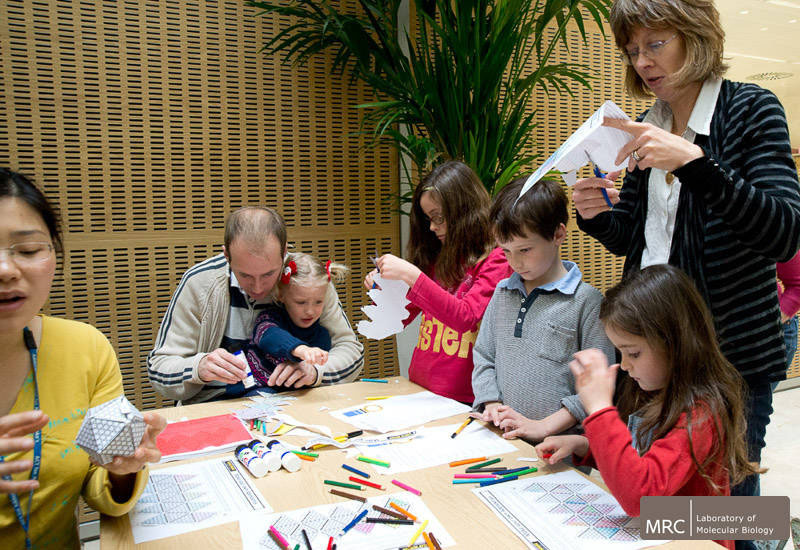 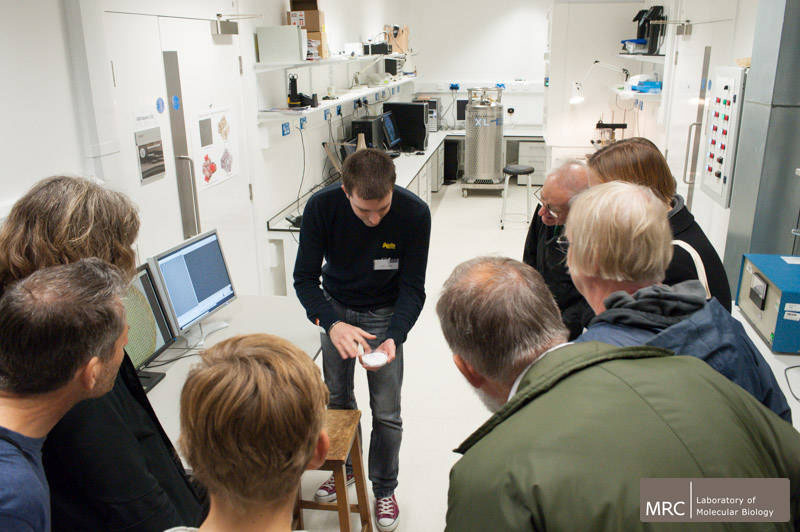 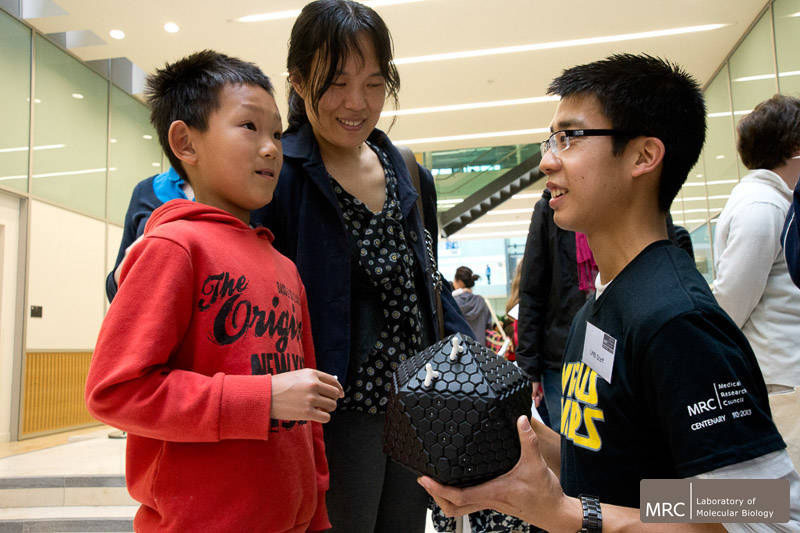 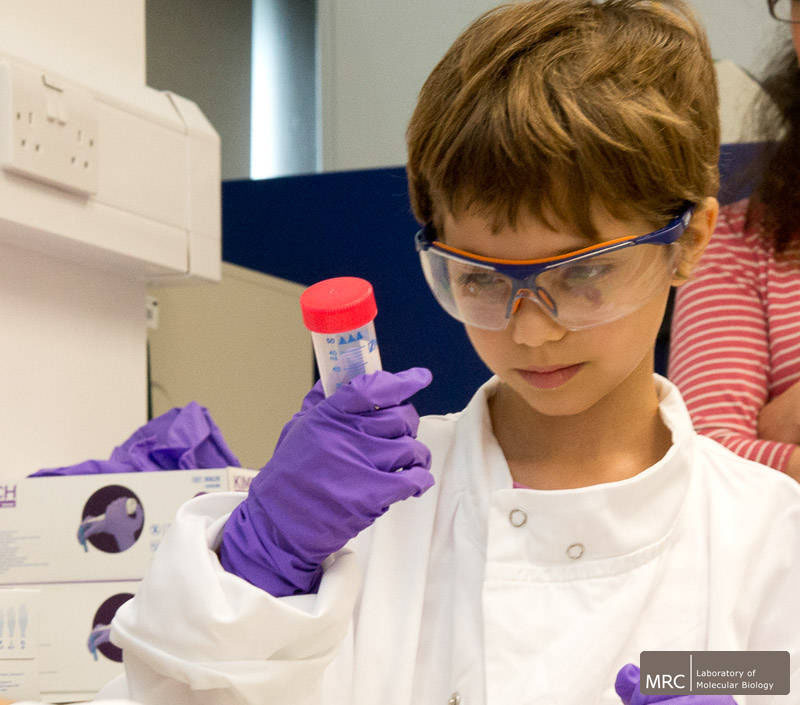 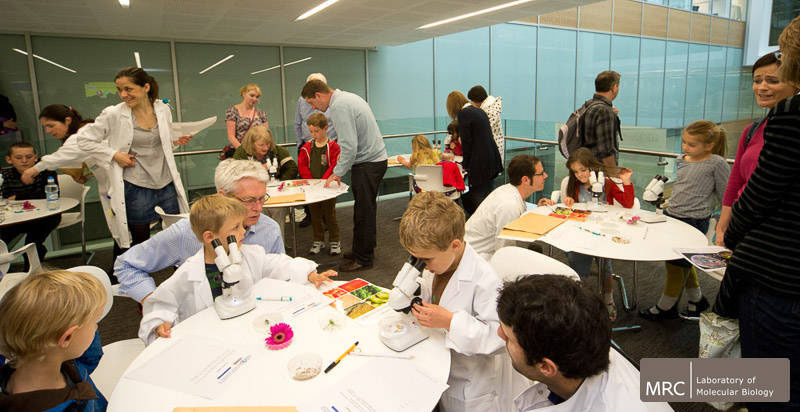 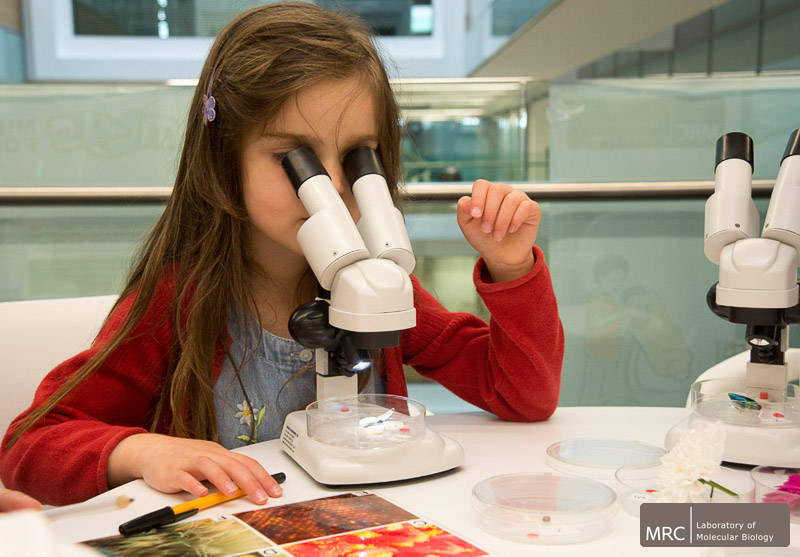 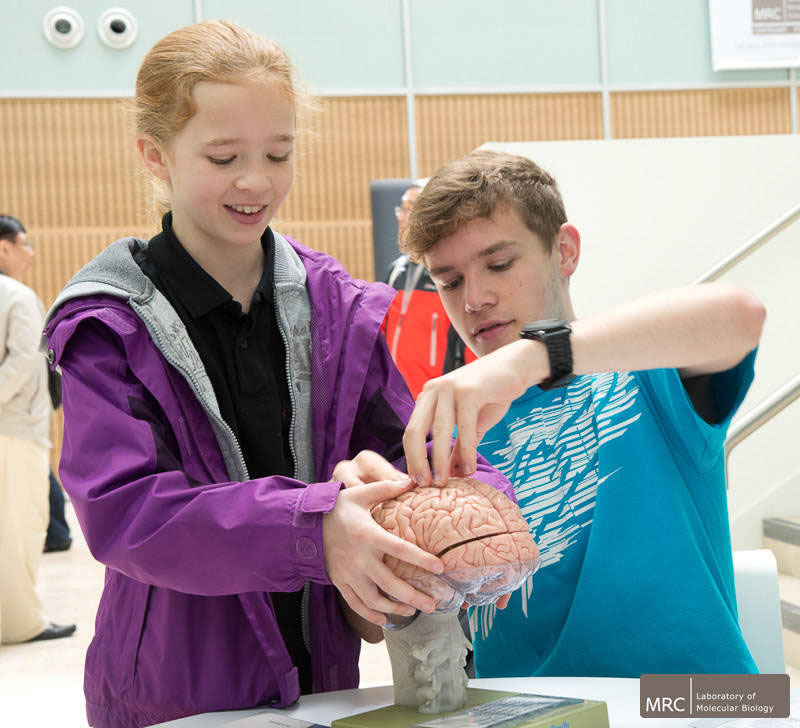 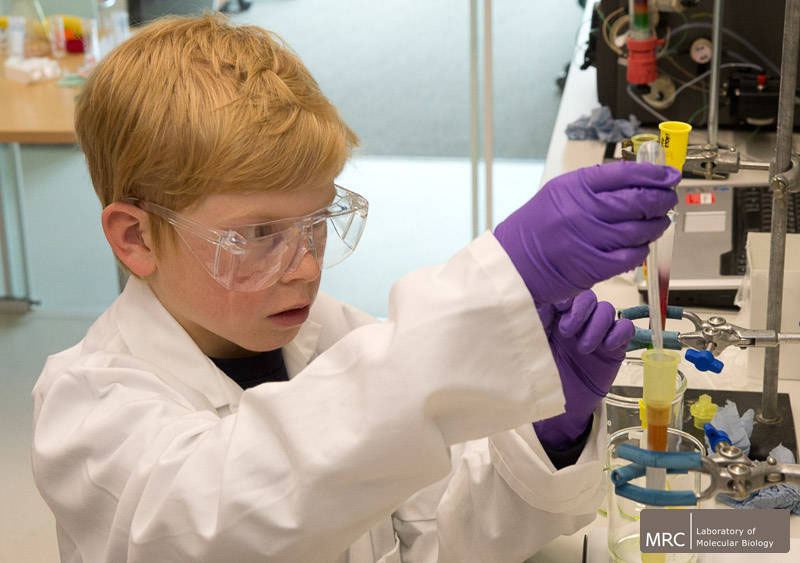 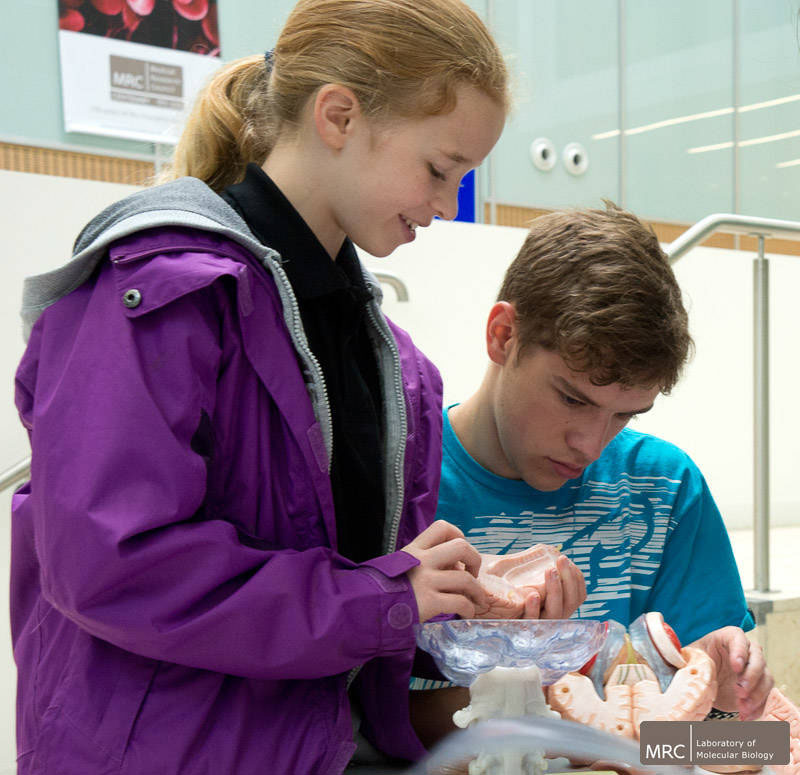 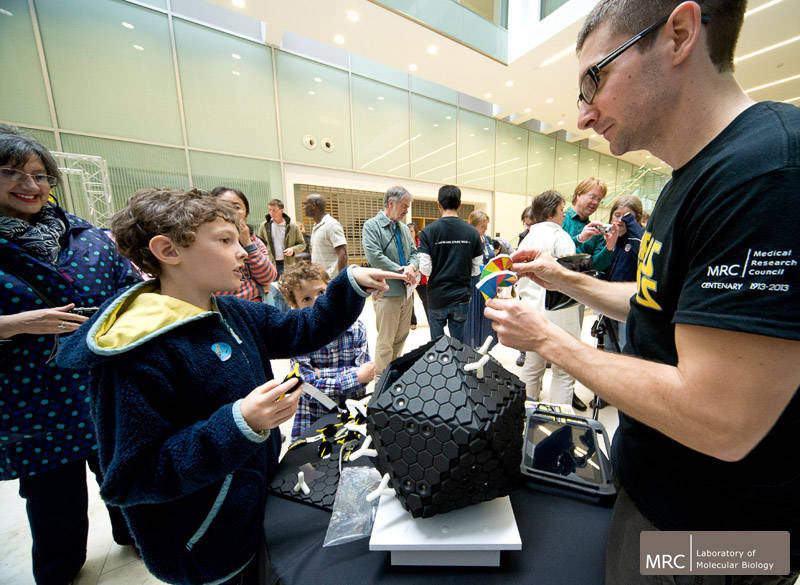 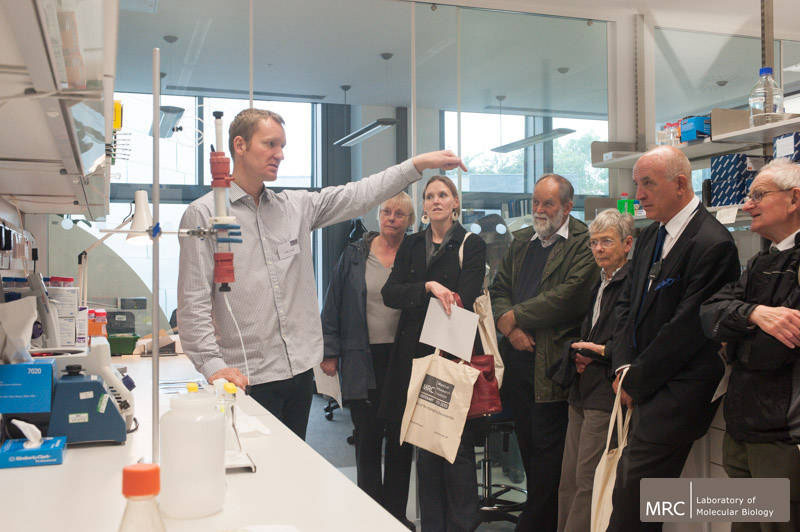 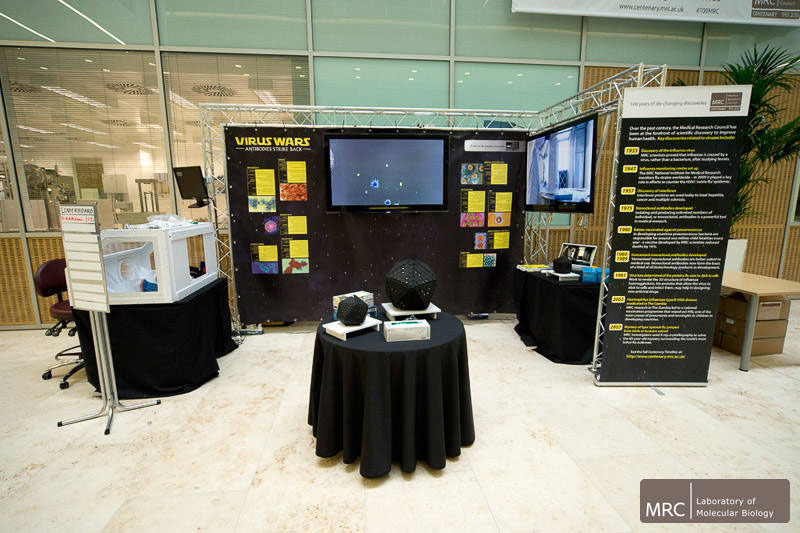 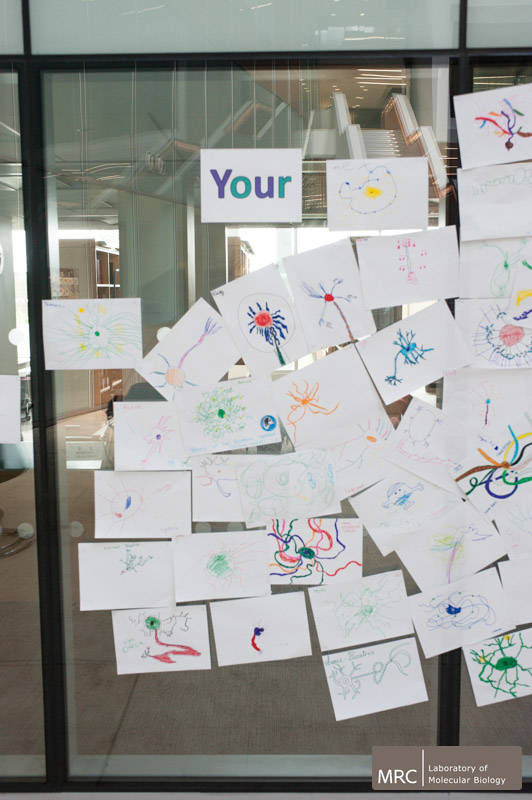 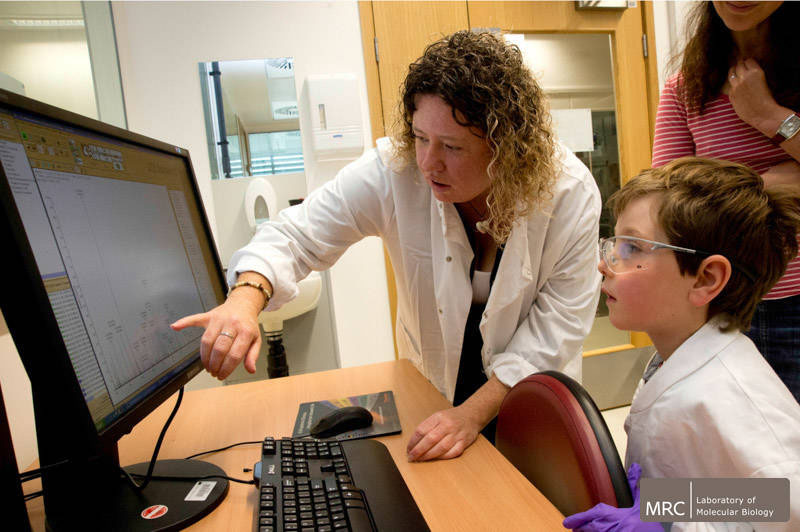 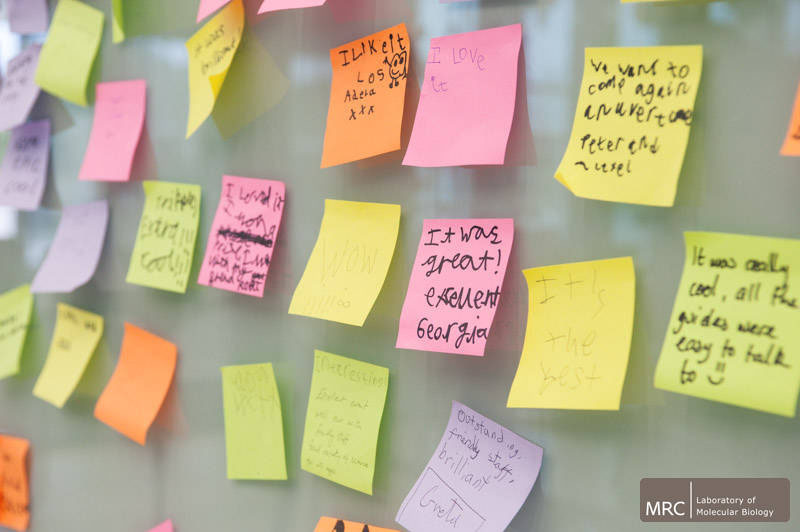 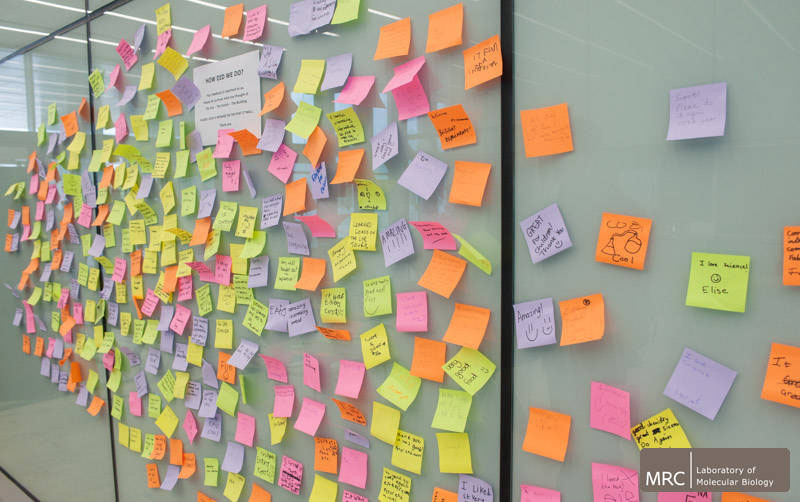 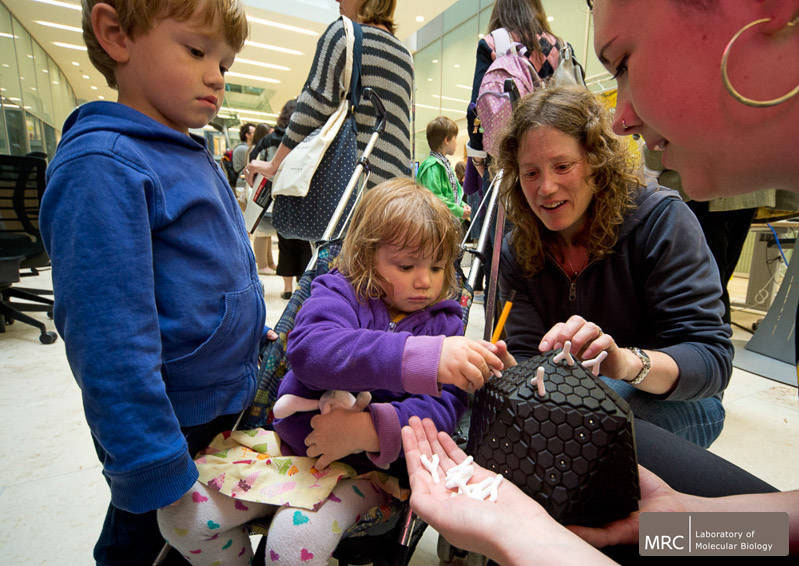 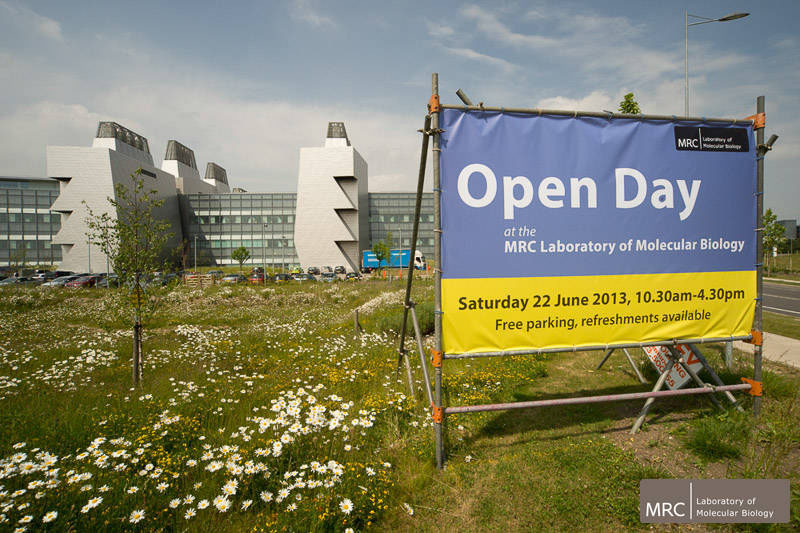 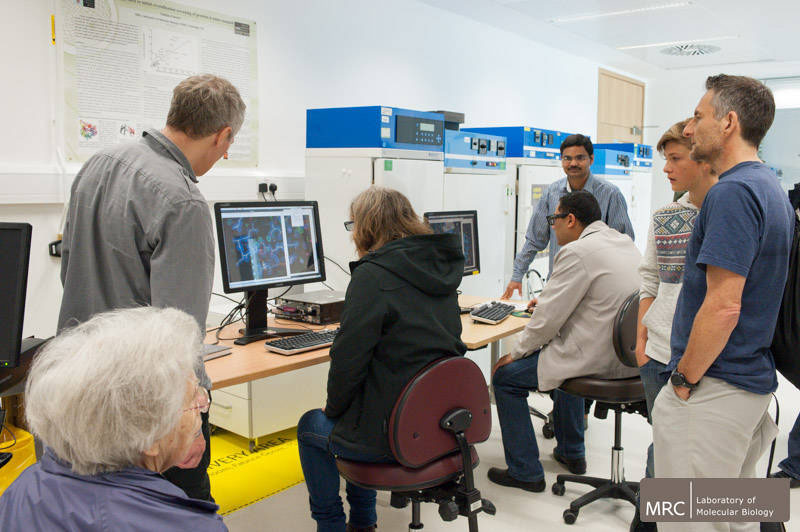 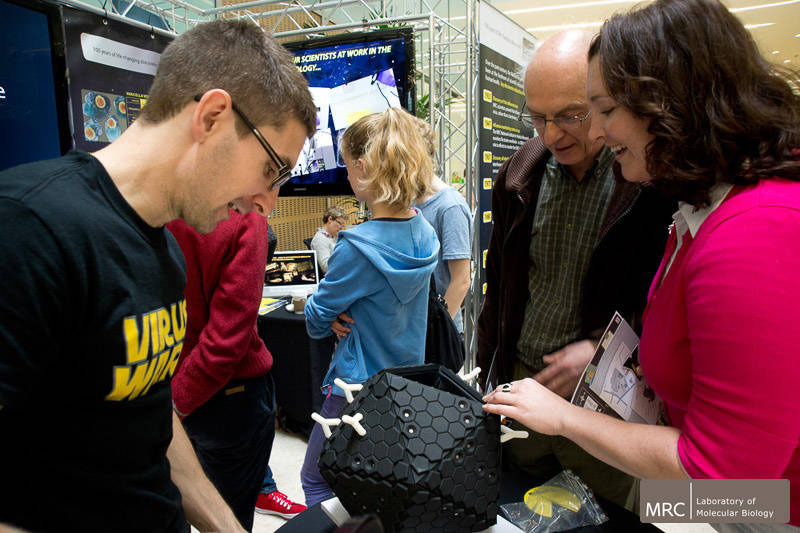 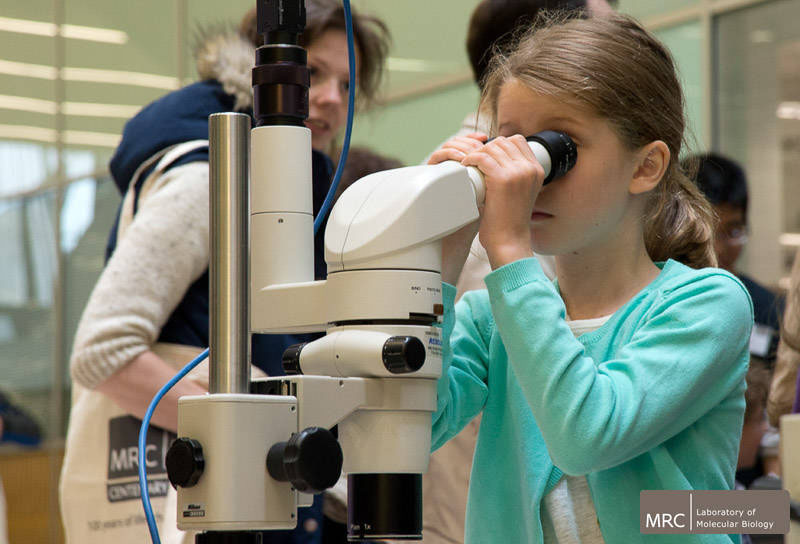 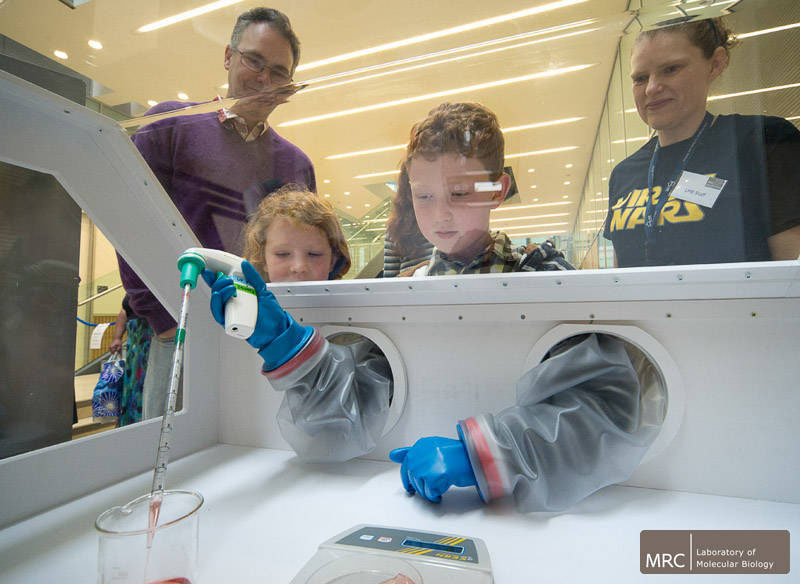 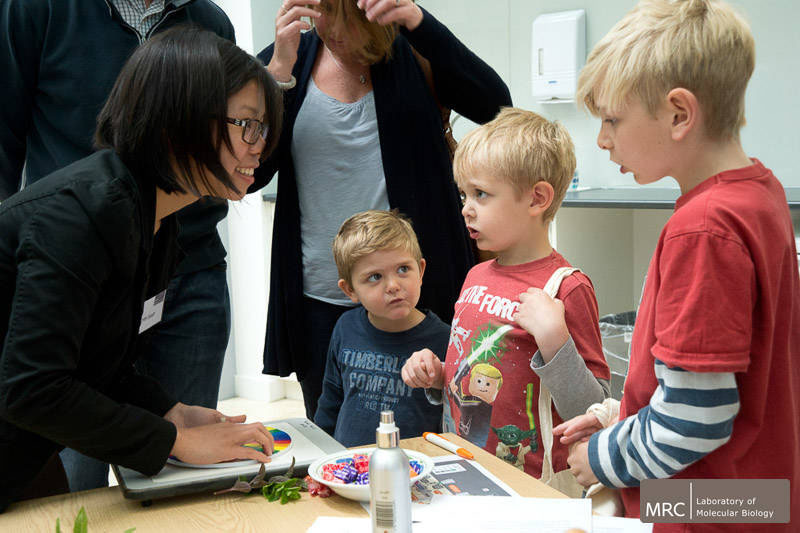 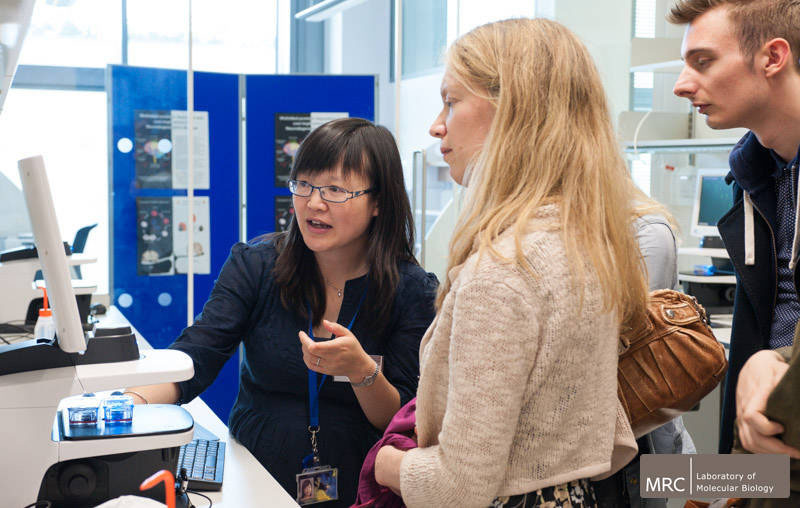 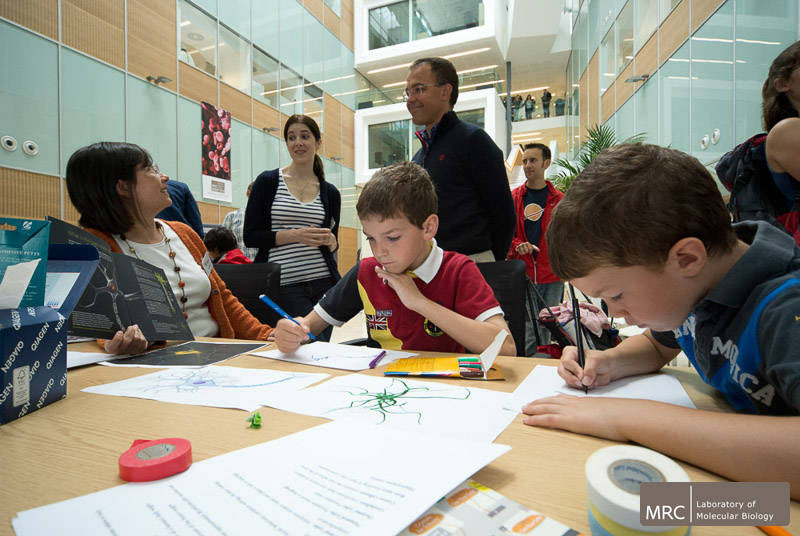 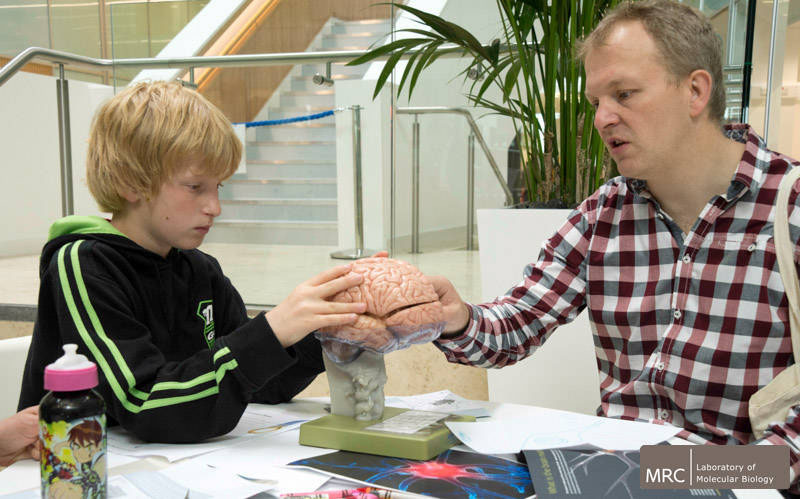 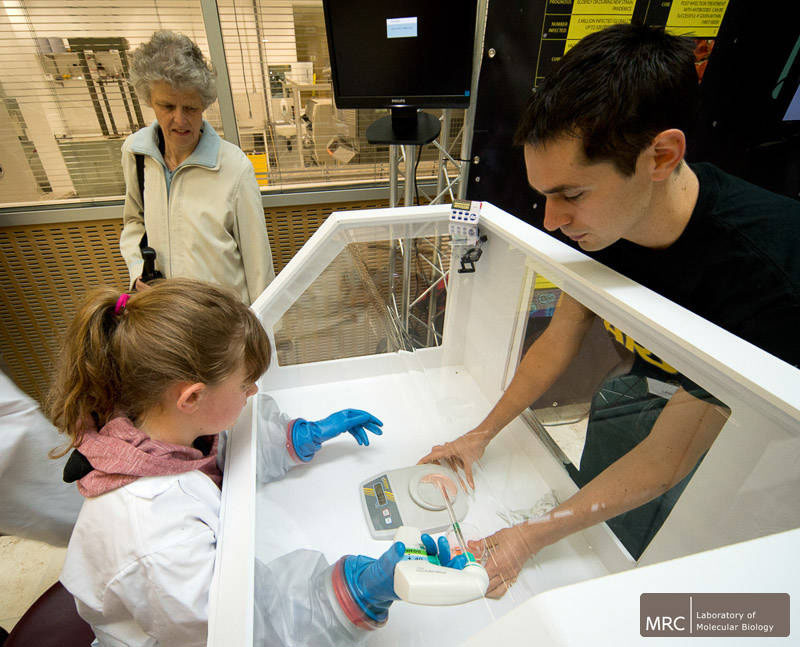 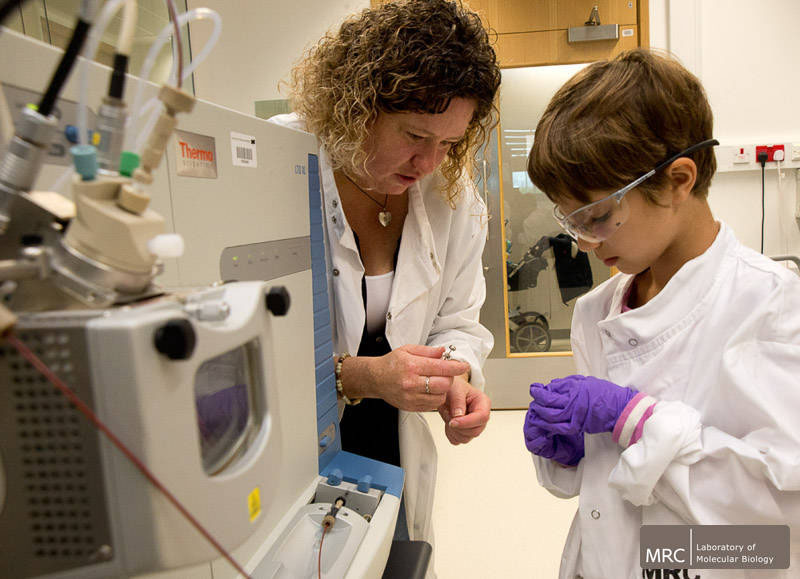 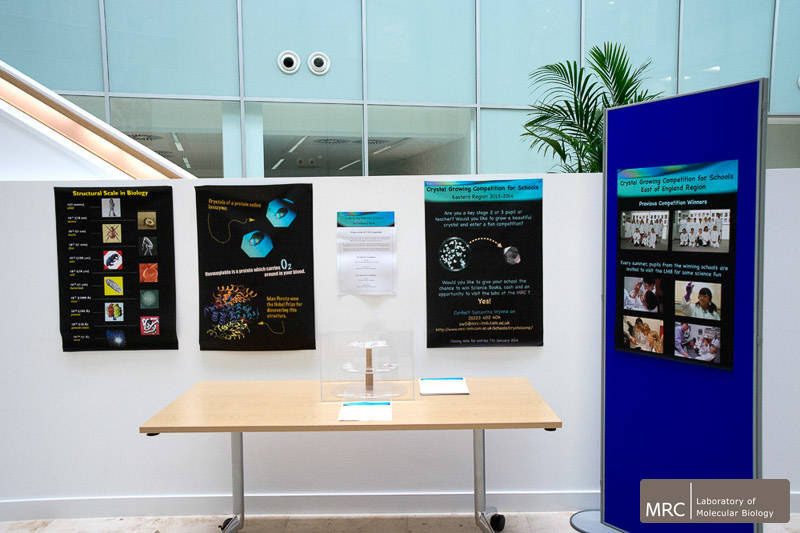 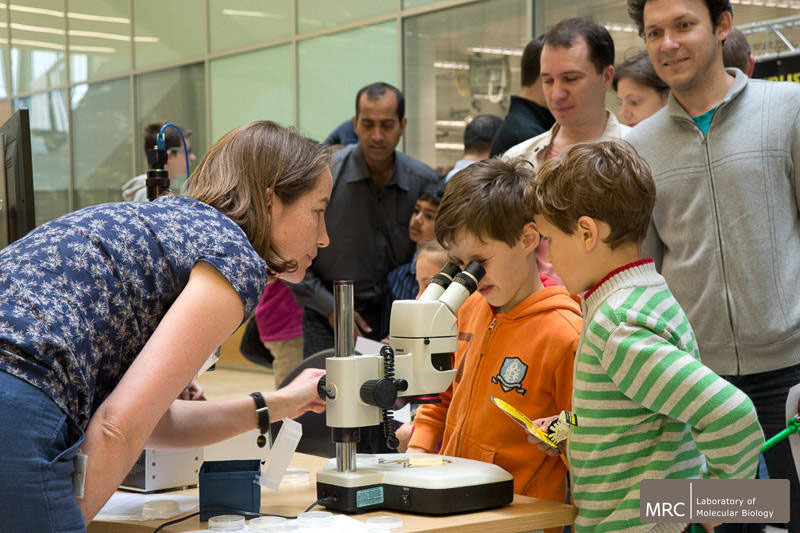 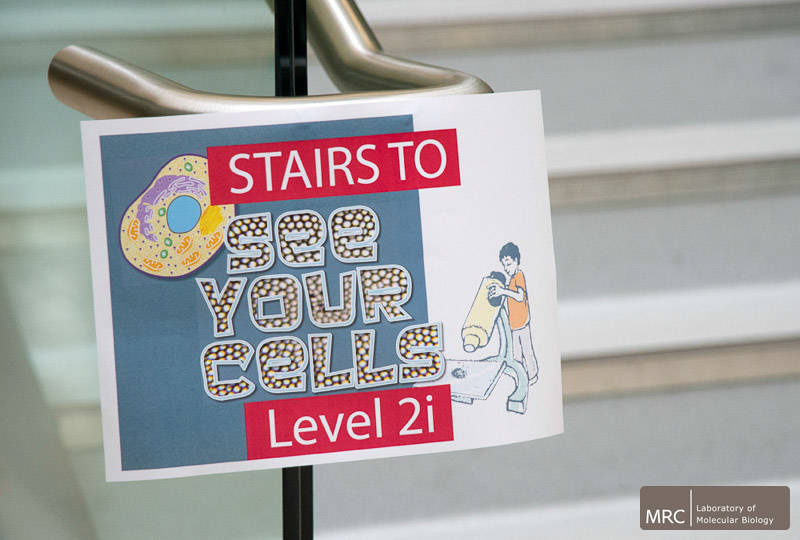 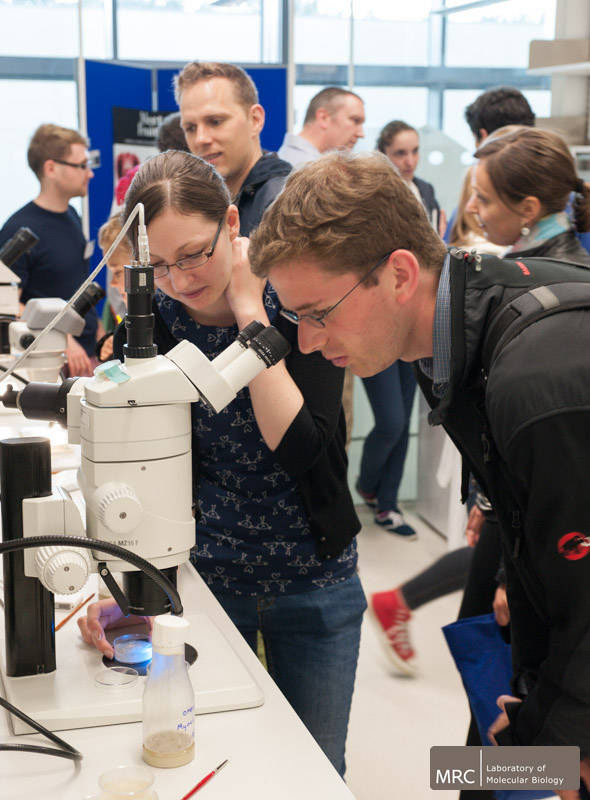 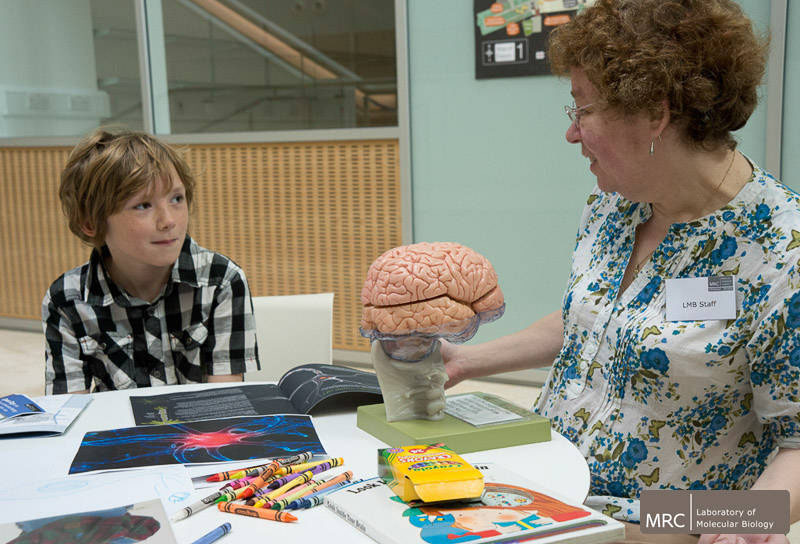 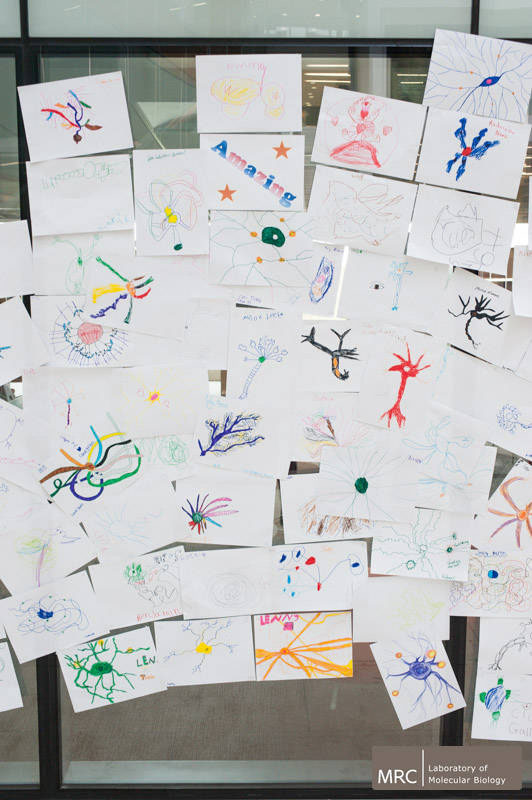 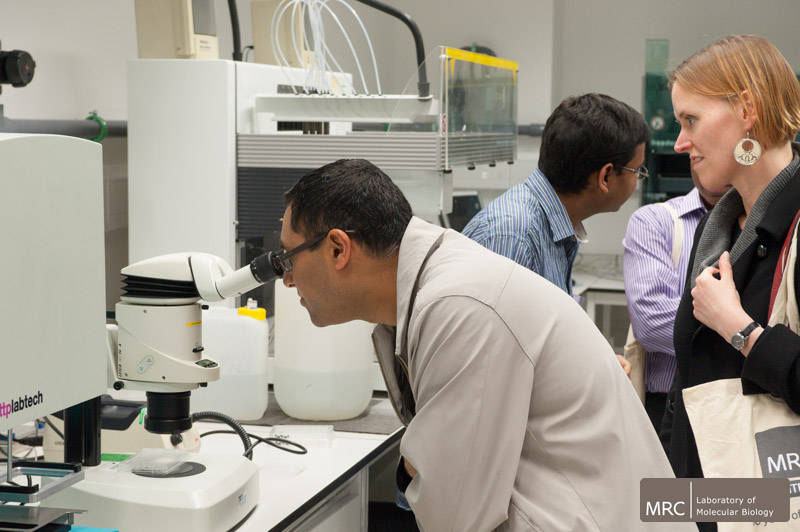 Over 2000 visitors, including more than 600 children, took the opportunity to explore the work undertaken at the LMB, when it opened its doors to the public, on Saturday 22 June, to celebrate the opening of its new building and the centenary of the Medical Research Council (MRC). 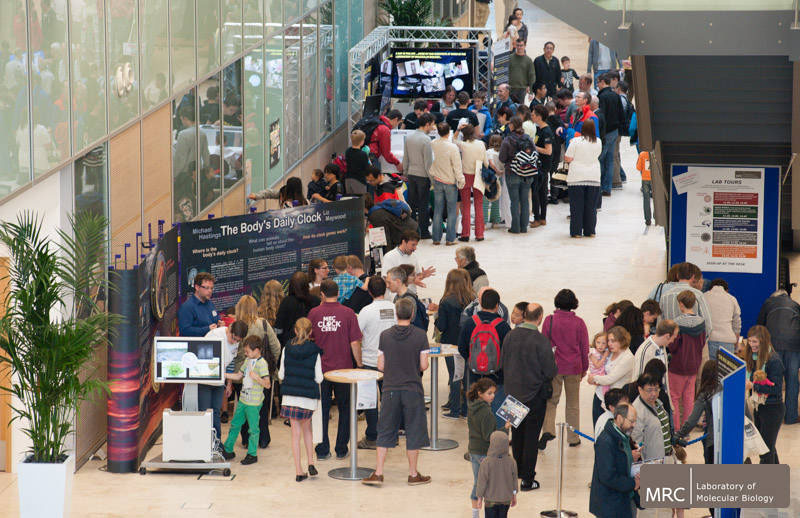 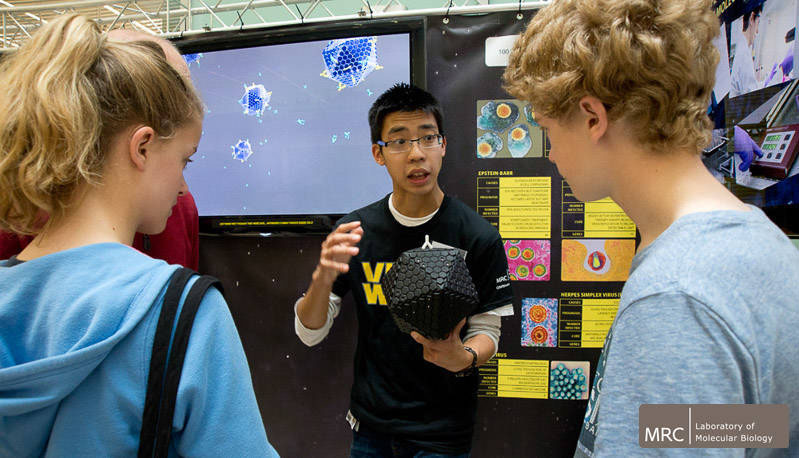 The family-friendly event showcased our work through lectures, tours, displays and hands-on activities for all ages. 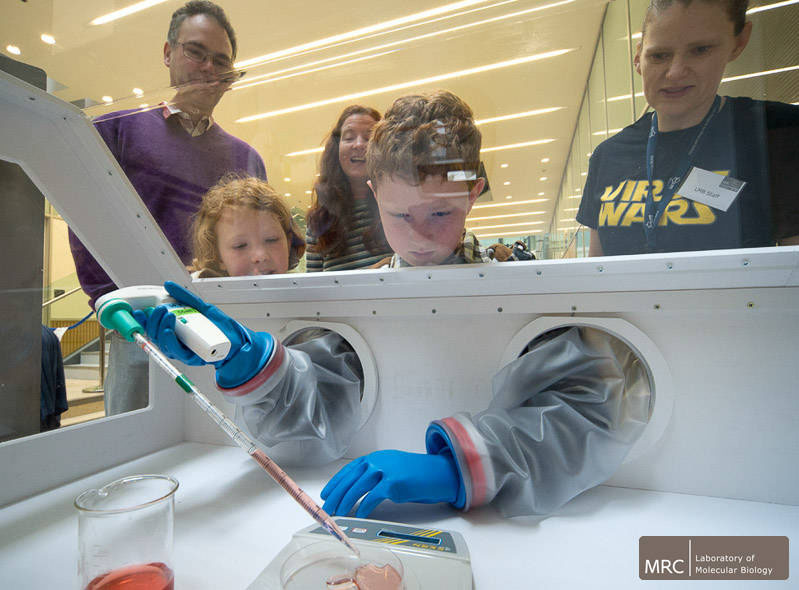 The day finished with a ‘medical science comedy cabaret’ in the evening, compered by science comedian Steve Cross, where the public joined scientists from the LMB and beyond to explore the lighter side of research with jokes, music and an element of audience participation. 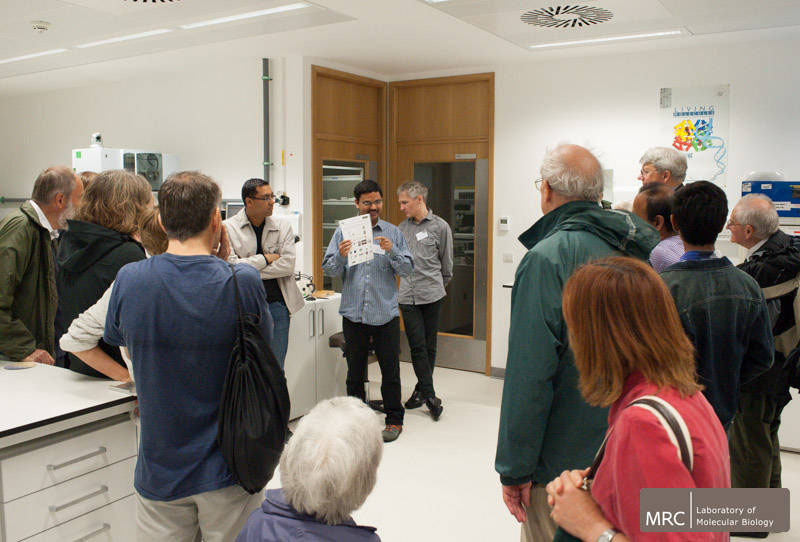 Steve joked, to the audience’s delight, about why the new building wouldn’t work and how the LMB could up its Nobel prize count. 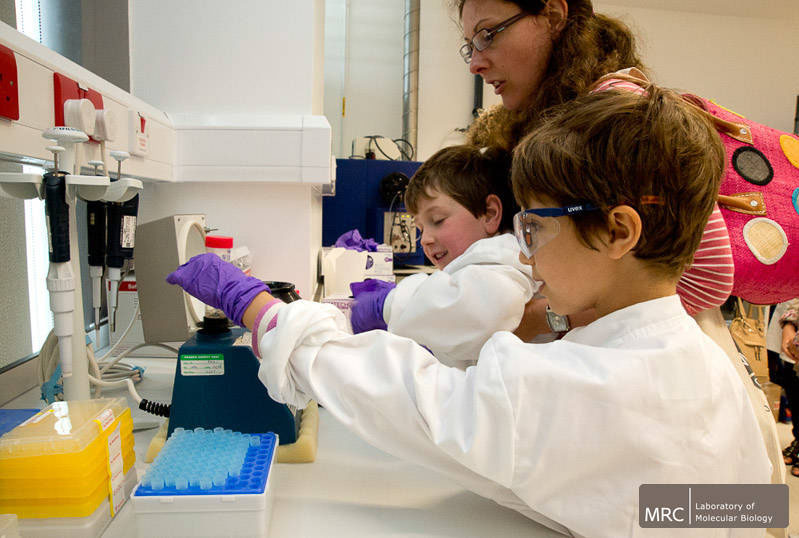 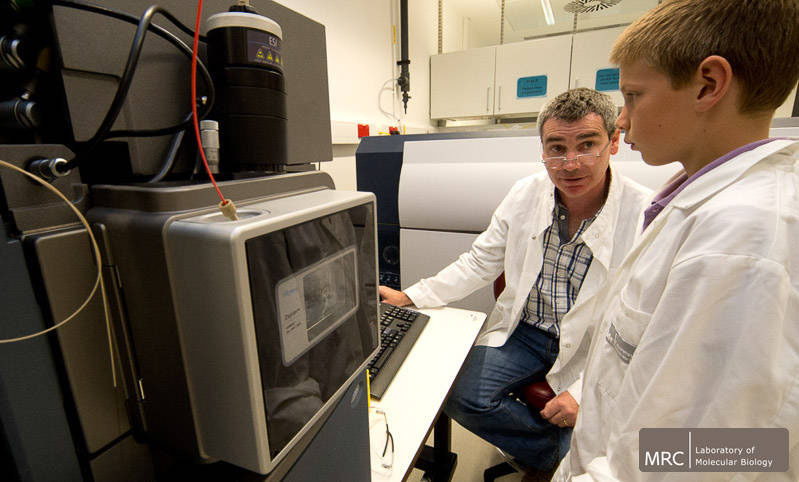 All images copyright © MRC Laboratory of Molecular Biology, all rights reserved. 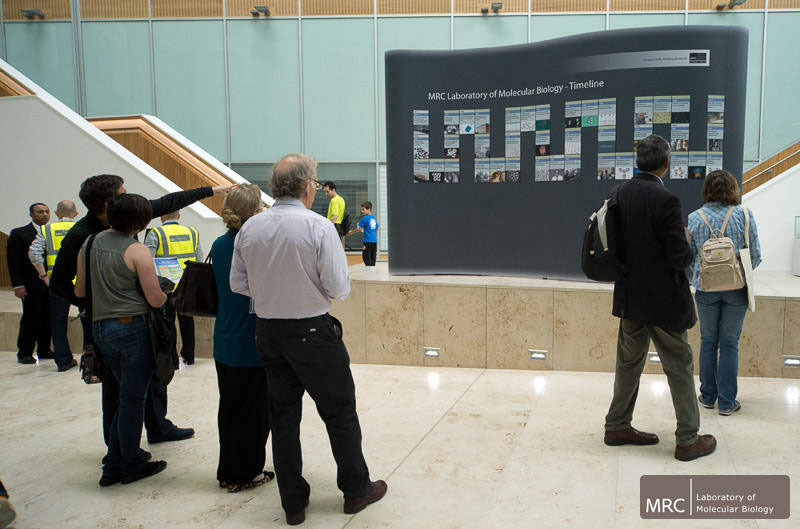 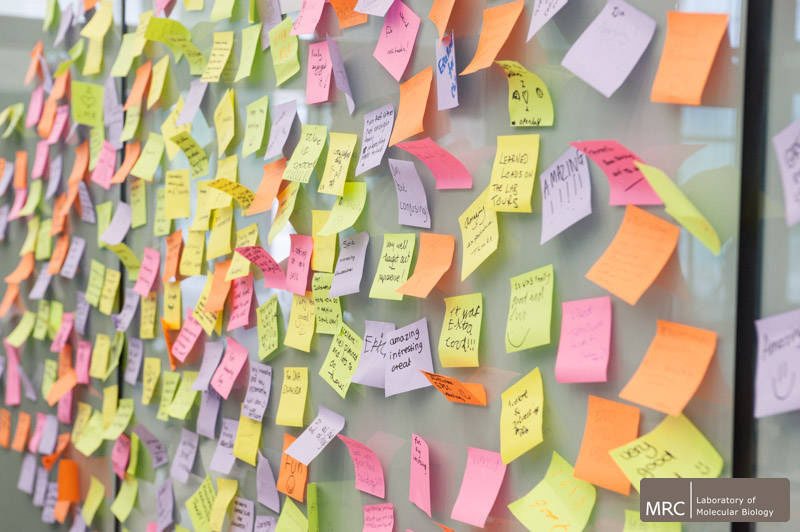 For enquiries about re-use please contact the LMB Archive.